It’s one of the most densely populated countries in the world with a heaving mass of 7.2 million people, the former British colony can be muggy, smoggy and at times smelly, yet it’s these imperfections that make Hong Kong utterly intoxicating. A dynamic blend of east and west with just the right amount of family friendly attractions to make Hong Kong with kids a must-do for adventurous families. PROS of Hong Kong with kids: Immerse kids in new customs, cultures and awaken the senses roaming the city streets. Explore a mostly bilingual metropolis with an easy, efficient and vast transportation system. Feast on delicious fresh food and enjoy the many Hong Kong kid friendly attractions including Hong Kong Disneyland and a mesmerising setting on Victoria Harbour. CONS of Hong Kong with kids: Hong Kong’s busy streets and sometimes-brash assertiveness of its people can make getting around stressful and the danger of losing a child real (hold them close). It’s quality bars, restaurants and accommodation can be expensive and finding a bargain is a thing of the past. There is also the weather to consider from typhoons and black storms, hot humid summers and the frigid manufactured artic conditions indoors, it’s important to go at the right time. 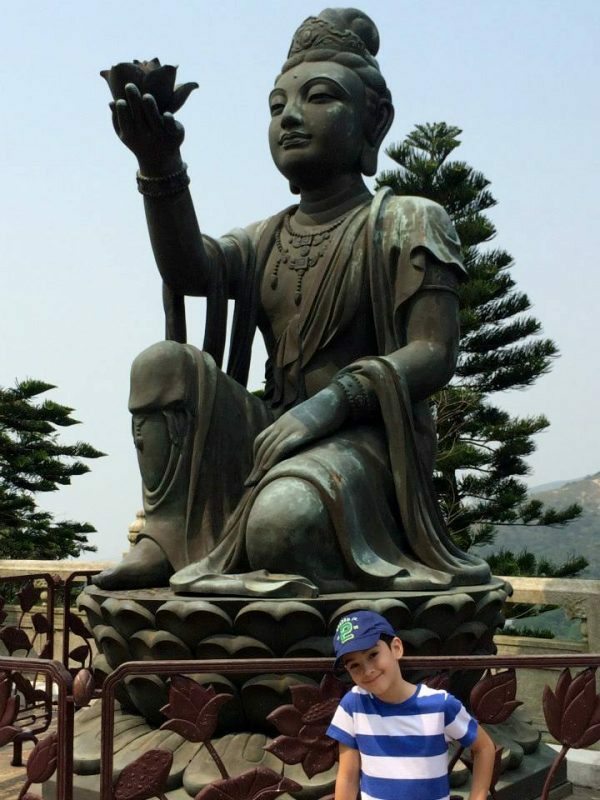 Visit Hong Kong with kids: to experience a safe and high-energy city, packed with personality and infused with a unique local history and a Chinese culture that adores children. Choose between the tranquil outer islands, heaving outdoor markets or large theme park adventures, families can carve out their own Asian city escape without compromising on modern day comforts. *Some links indicated with an asterisk below are affiliate links, meaning at no additional cost to you, we receive a small commission if you click through and make a purchase. Thank you kindly for supporting Together we roam. 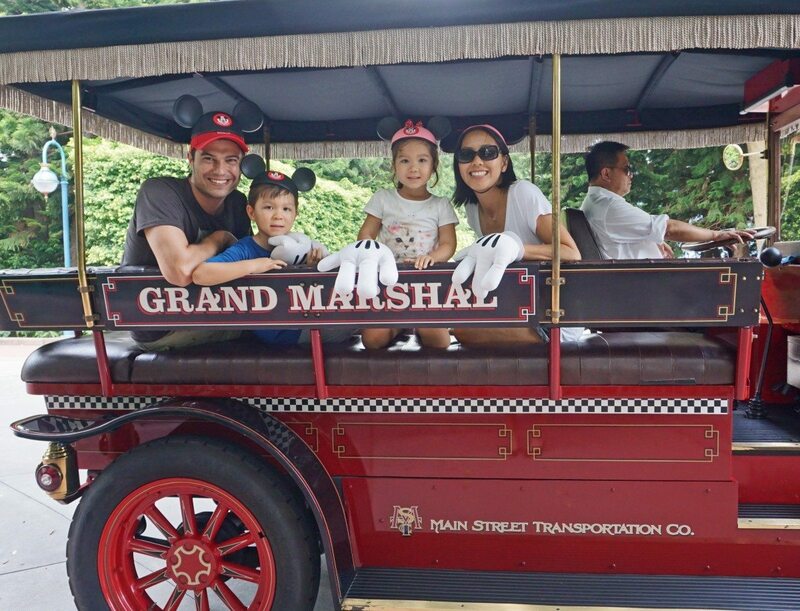 You can’t go past Hong Kong Disneyland when in Hong Kong with kids. Opened in 2005, Hong Kong Disneyland is the closest Disney theme park to Australia. Although smaller than it’s counterparts in the States or Tokyo for that matter, it’s still infused with enough of the Disney ‘magic’ that little ones adore. Whilst it’s an “Asian Disneyland” English is the primary language and you’ll find Mickey, Minnie and your favourite characters all speaking in English. Even the Disney Princesses resembled the character in appearance, that is you won’t find a Asian Cinderella or Tinkerbelle. Main differences are the food outlets, with sticks of fish balls, noodle bars and steamy soups sold alongside Disney Turkey Legs which take on a soy sauce variation. In addition all announcements and signage is bilingual. Hong Kong Disneyland is evolving, with new rides and areas recently added (such as Toy Storyland and Grizzly Gulch), as well as long-time favourites, including Space Mountain roller and “It’s a Small World”. We arrived early and were picked to be Grand Marshal to lead the parade! There are also Disney characters to grab a photo with and a number of shows throughout the day. 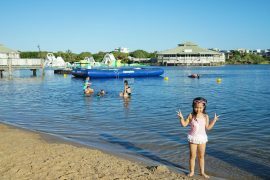 The size is perfect for families wanting to break the trip up with a theme park or two as you can easily cover it in a day. 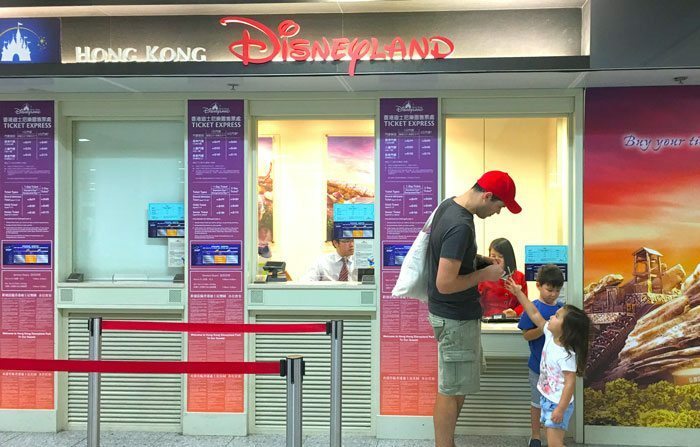 Buy your tickets online at the MRT rail stations prior to arriving or purchase at the resort if staying at Hong Kong Disneyland Hotel to avoid queuing up at the ticket booths. One day tickets cost $539 HKD ($92 AUD) for adults and $385 HKD ($65 AUD) for kids aged 3-11. Two day tickets $739 HKD ($125 AUD)for adults and $525 HKD ($89) for kids (and must be used within a 7-day period). Plan ahead and pre-purchase online Hong Kong Disneyland tickets for a discount. Adults $86 AUD and Children (3-11 years) $62. Two Day Hong Kong Disneyland tickets are $120 AUD and Children $83. To avoid queues go mid-week to avoid crowds visiting from Mainland China and when Hong Kong locals are at school. Queues mid-week were very short or non-existent. Go on blazing hot days as locals and the Chinese avoid the heat at all costs. If you can’t go during a weekday, expect longer but relatively fast moving queues on the weekends. 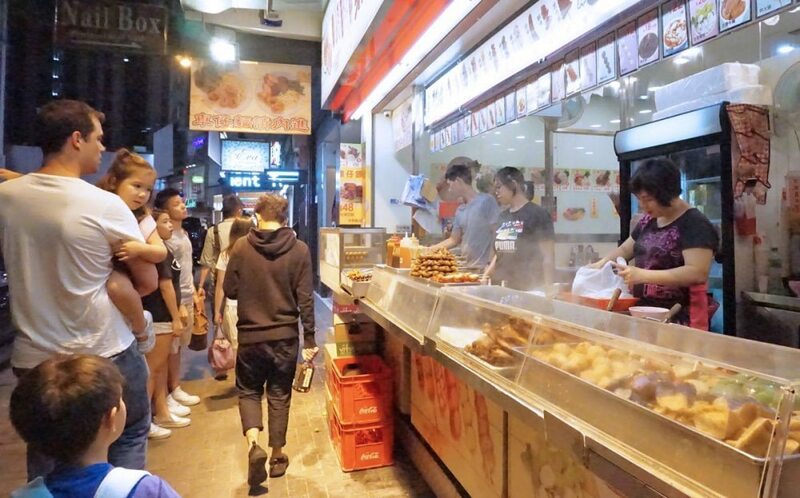 It may be a little frustrating lining up for lines with people often a bit pushier in Hong Kong than you may be used to – stand your ground. If you don’t want to queue (and don’t mind paying for the privilege) you can book a Disneyland Tour Host ($4688HKD for three hours), which is especially recommended during the busy summer months and fill up fast. Check out the park map and make a plan of what you really want to see and do before arriving, and try and make a logical schedule of how best to squeeze in as much of it as possible. We went at leisure and covered almost everything on a long day, arriving on opening and leaving just after dark. Take in the Hong Kong city skyline from a Star Ferry. Hong Kong’s most iconic experience has been in operation since 1888. 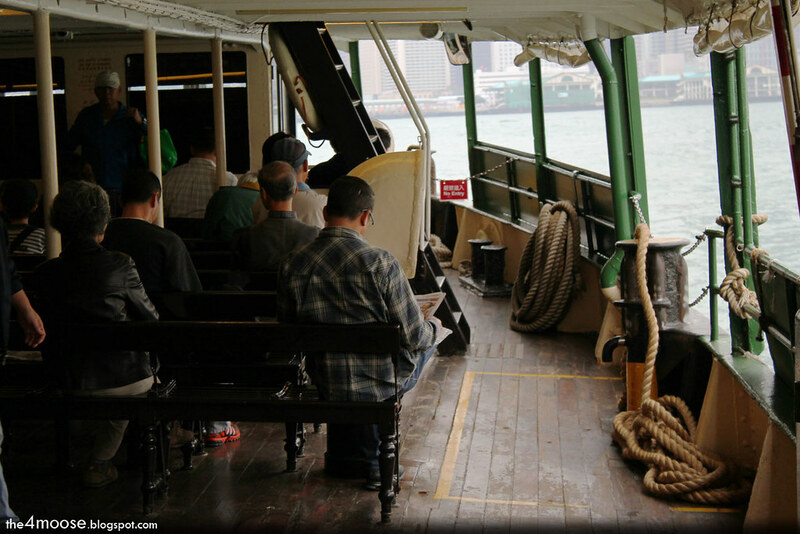 The journey was once longer but with land reclamation the nostalgic ferry ride will take you from Central or Wan Chai across to Kowloon, in ten short minutes. 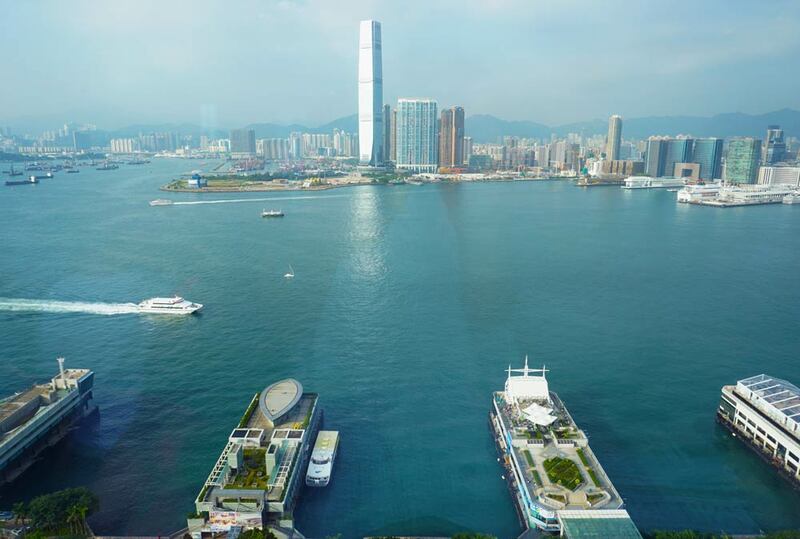 There once was a real reason for the price variance in upper and lower decks, however Victoria Harbour has been cleaned up and the questionable brown floating patches and pollution gone. For a more authentic experience, ride the lower deck at least part of your journey across. 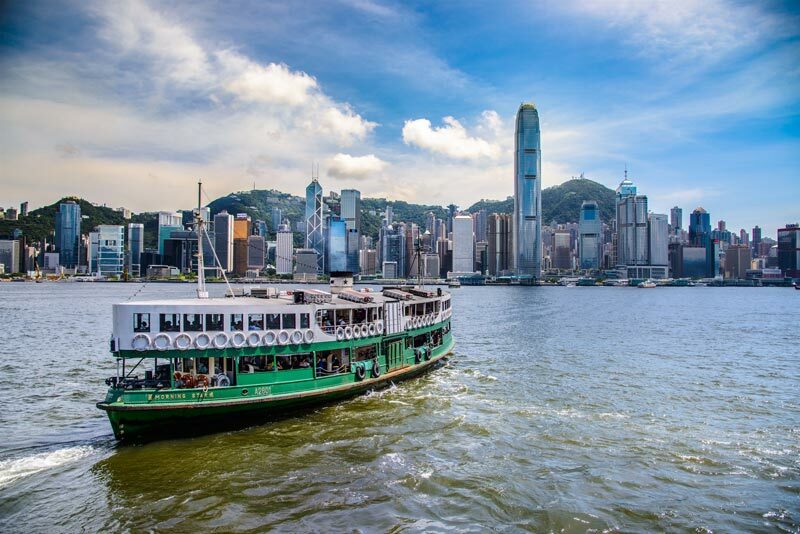 Once over the other side, you can continue on to explore Kowloon or take the next ferry back to Hong Kong with frequent ferry trips between the two. If you time your trip on the Star Ferry to depart just before 8pm, the captain will normally stop in the middle of Victoria Harbour so passengers can take in the Symphony of Lights show. One of the must do experiences when in Hong Kong with kids. A fun and inexpensive experience, it costs $2.50HKD for adults and $1.50HKD for kids aged 3-12 to ride the upper deck. It cost slightly more on weekends and slightly less to ride the lower deck ($2HKD adult / $1.40 child). One hour guided ferry tours of the harbour organised by the Star Ferry, which costs from HKD $125 per person ($21 AUD). For fares and timetables click here. Grab a seat on the upper deck when riding the Star Ferry in Hong Kong with kids. Not only for the best views, but also to avoid the ferry’s fumes. For me real nostalgia abounds on the lower deck having only rode this as a child, kids will get a kick out of feeling the bumps, being closer to the water and the excitement of the occasional ocean spray. 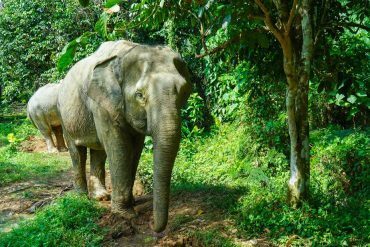 It is noisier, more crowded at peak times but a better chance to rub shoulders with the locals. Open 10am to 7pm daily. Address: 180 Wong Chuk Hang Rd, Hong Kong. The easiest way to get to Ocean Park is by the Ocean Express route 629. 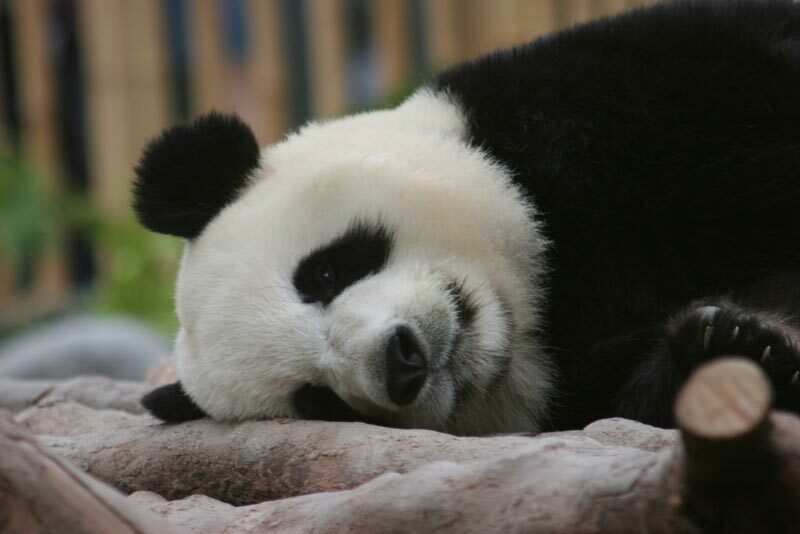 It doesn’t get any more family friendly in Hong Kong than Ocean Park, Hong Kong’s original theme park (before Disneyland burst onto the scene) with amusement rides, animal exhibits and a most impressive aquarium making it a diverse family experience and preferred by locals who consider Disneyland touristy and small. Rather than making way for Disney, the iconic theme park proceeded with a $5.5 billion expansion, redeveloping the 92 hectare site and making it the largest theme park in Asia. 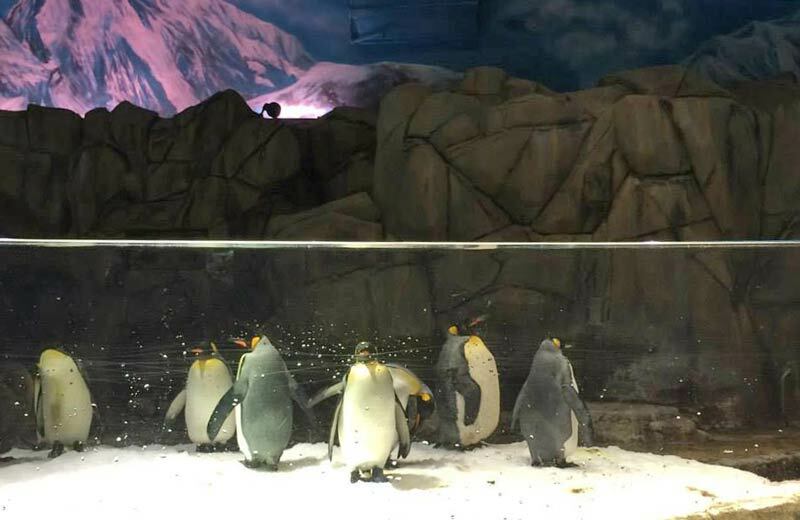 There is an upper area with thrill rides for older children, the main show area and a sea lion feeding enclosure, and a lower area where the aquarium, Giant Panda exhibit and playground for younger kids is located. 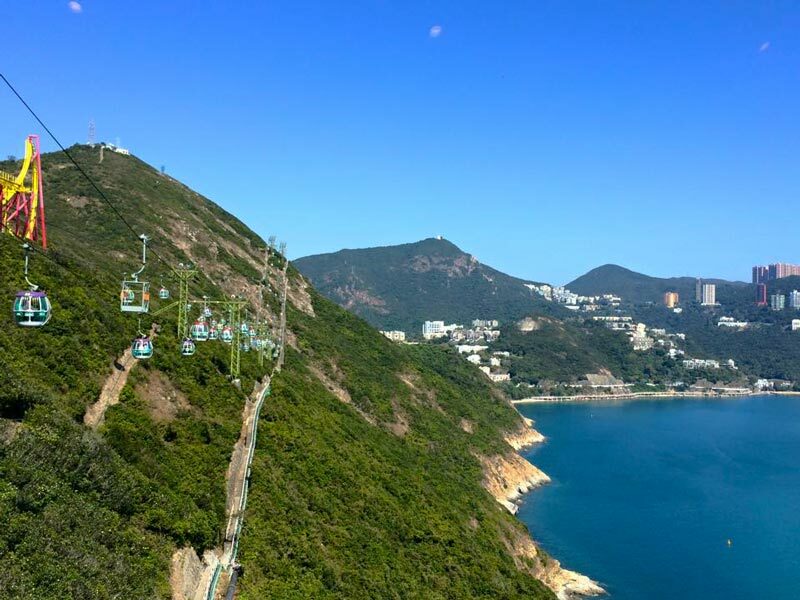 They are connected by a cable car that provides impressive views across Hong Kong Island, or you can ride their funicular train to get from one area to the other. Main draws include Grand Aquarium with a 13 metre viewing panel of 5,000 fish and 400 species. There are artic foxes, penguins and an aquarium of endangered Chinese Sturgeons. 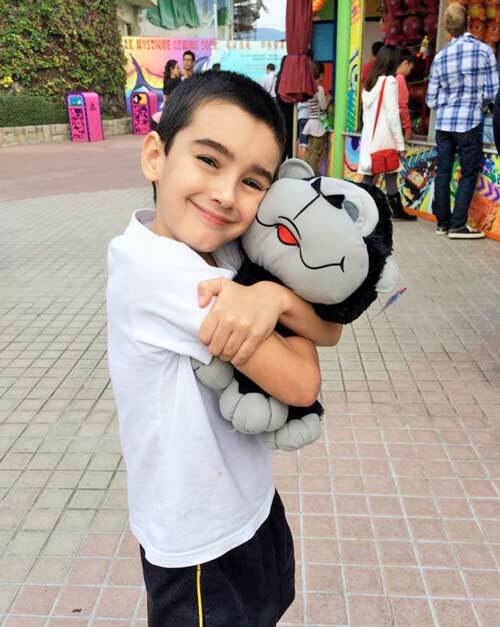 Fun for all ages with performances, Ocean Park characters and rides, Teens will love Thrill Mountain’s Bumper Blaser, Hair Raiser and Rev Booster. 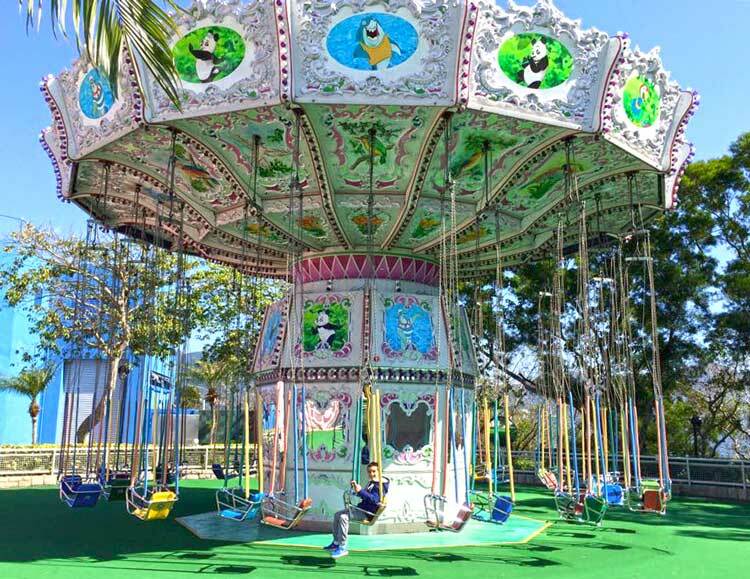 Little kids will enjoy the Carousel, Frog Hopper and Ferris Wheel. Unlike Disneyland, food outlets are varied and affordable, there’s even a local McDonald’s within the park. Kudos to Ocean Park who have decided not to replace the much loved orca Hoi Wan who was captured off Iceland and performed until her death in 1997. Under increasing pressure to “empty the tanks” Hong Kongers have realised that holding large animals captive is inhumane. The park has been scrutinised with reports of a dolphin intently slamming against concrete walls, appearing to commit self harm and “overworked” dolphins performing in four shows daily in a massive arena year round. It’s a difficult to condemn when so many marine parks around the world are doing the same. 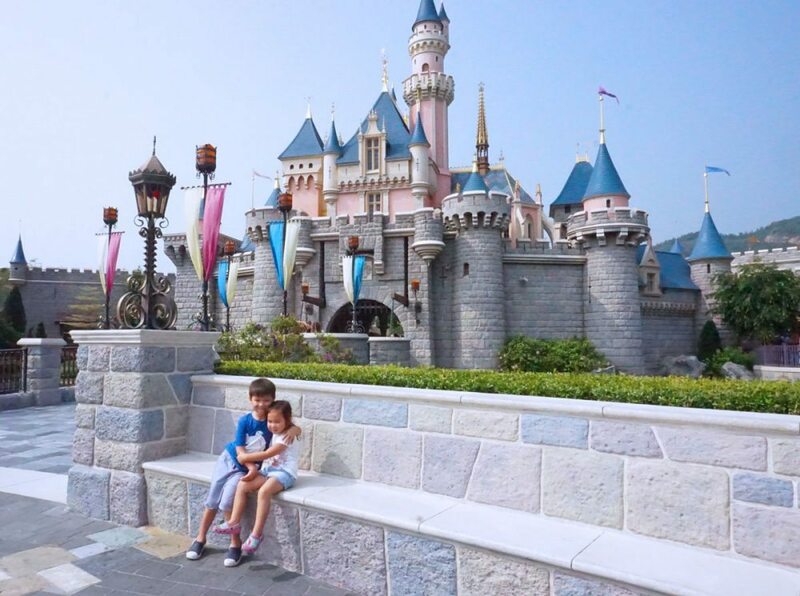 For this reason, if there’s a choice between Disneyland and Ocean Park when in Hong Kong with kids, choose Disneyland every time, even though Ocean Park is superior in terms of size, rides, food and variety. Tickets cost $385 HKD ($65 AUD) for adults and $193 HKD ($33 AUD) for kids aged 3-11, with more info available at Ocean Park Hong Kong. 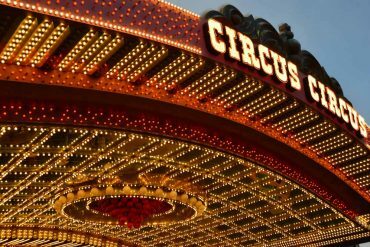 Buy your tickets in advance online to avoid the queues at the entrance, and keep in mind that Ocean Park gets incredibly busy in the summer months. When school’s out, even the sun and heat won’t keep locals and Main Land Chinese away, armed with umbrellas to keep them shaded and some with a talent for queue jumping. Avoid school holidays and aim for mid-week as local school aged kids are in school and Main Land Chinese hit Hong Kong on the weekends. You can get a free kids wristband at Guest Relations, which records their height (so you don’t have to have them measured at each ride) and you can brand them with your phone number on it in case they get lost. 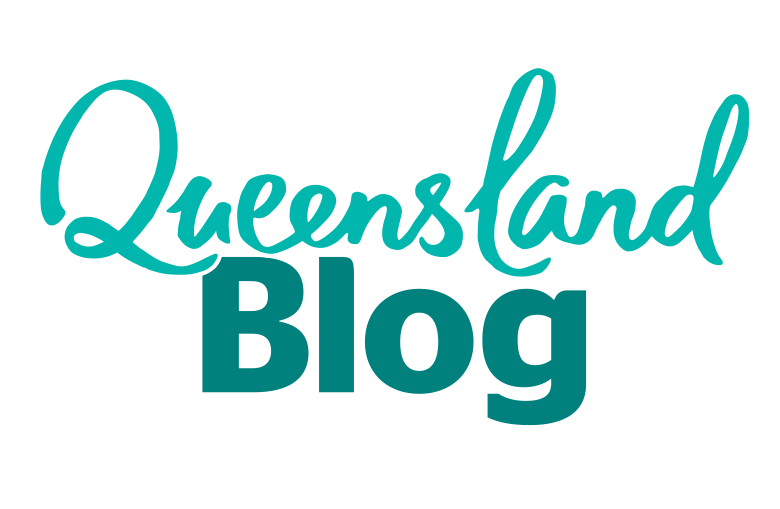 (Buy a inexpensive SIM from any 7-Eleven). Operates 7am to midnight daily. 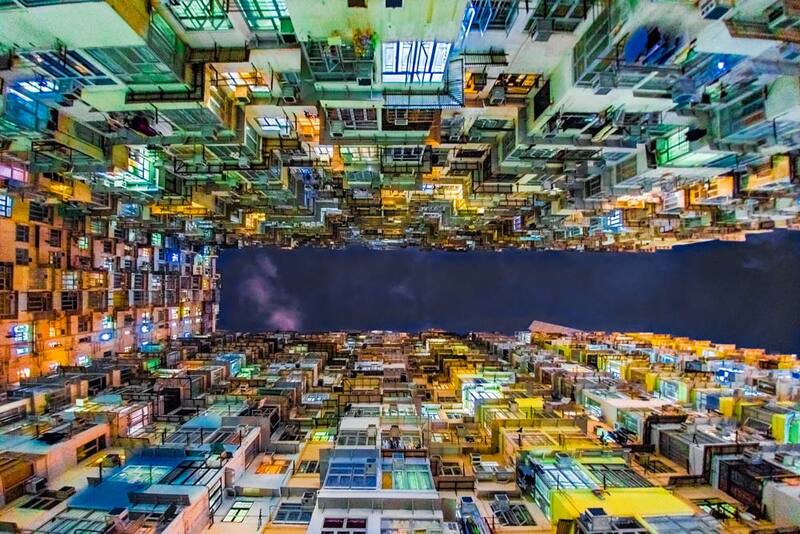 Address: Victoria Peak, Hong Kong. Take the Peak Tram from Lower Peak Tram Terminus, 10 minutes walk or short taxi ride from Central Station. For the best views across Hong Kong (but only on a clear day), ride the Peak Tram up to Victoria Peak which towers over the skyscrapers below. The perfect spot to get that iconic Hong Kong family photo op, and with the Peak Tram in operation since 1888, its also a historic experience on the world’s steepest funicular railway. It’s not to be missed and one of the best things to do in Hong Kong with kids. Once at the top, you can take the Peak Circle Walk for more views away from the crowds. It takes 30-40 minutes to do the full loop, and there is a playground part way for the kids to take a break. 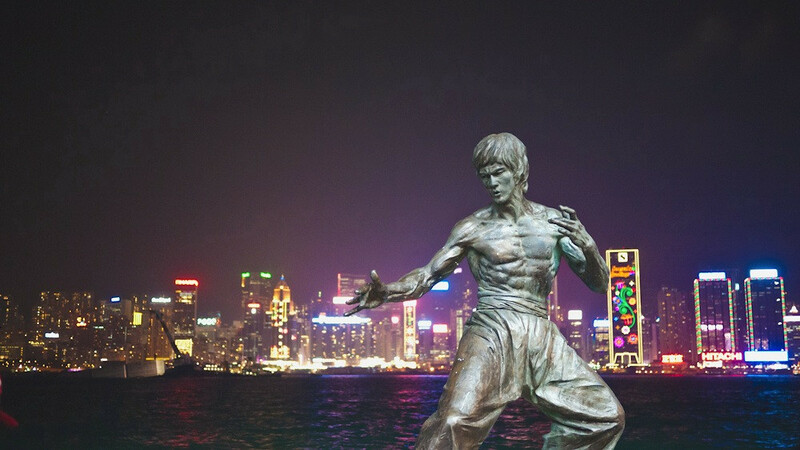 It’s slightly touristy and tacky up the top with a Madame Tussauds (with Bruce Lee in wax), fast food restaurants, the Peak Cafe and souvenir shops to peruse. Tackiness and all it’s one of the quintessential things when in Hong Kong with kids, so much so that locals take visitors straight to peak to enjoy those impossible views. For an even higher enclosed vantage point, there is the Sky Terrace viewing platform which costs a little extra, offering 360 degree views from an enclosed observation glass paned observation deck. Not essential to visit as the views outside are just as spectacular. Adult costs HK $40 return. Children 3 years – 11 years and seniors above 65 cost $18 return. Kids 2 and under ride free. The Peak Tram runs every 10-15 minutes from 7am to midnight from Garden Road in Central and you can pay for tickets with exact change or use your Octopus card. A Peak Tram Sky Pass is also available where the tram ticket and entry to the Sky Terrace is combined. Cost HK $84 return for adults. HK $40 for children 3-11 years and seniors 65+. If you’re thinking of taking the Peak Tram as well as enjoy some of the attractions at the top there is a Victoria Peak Combo Package where families can enjoy four of the attractions including: four of return Peak Tram journey, Sky Terrace 428, Madame Tussauds and the Trick Eye Museum for $60 AUD per adult and $46 for kids aged 3-11 years.This combo also includes fast track avoiding the queues waiting for the Peak Tram – very handy! Avoid the long tram queues during peak hours when in Hong Kong with kids, it’s best to visit in the early morning, but check the weather conditions before you head up, because if there is heavy cloud you won’t see anything. If you plan to arrive just before sundown, you will get to witness the lights of the city below twinkling to life, however be mindful of the queues. Long waits may not be avoided during twilight. With little kids, rather than waiting in line, take an inexpensive cab ride to the top and catch the Peak Tram back down with fewer crowds, there is still a line to go down but it moves relatively quickly. Popping up in major tourist cities across the world, observation wheels are a great opportunity to get a different perspective on the city skyline – and Hong Kong’s is no different. One of those tourist draws that families gravitate towards when in Hong Kong with kids and a kitchy fun thing to do while in City of Dreams. 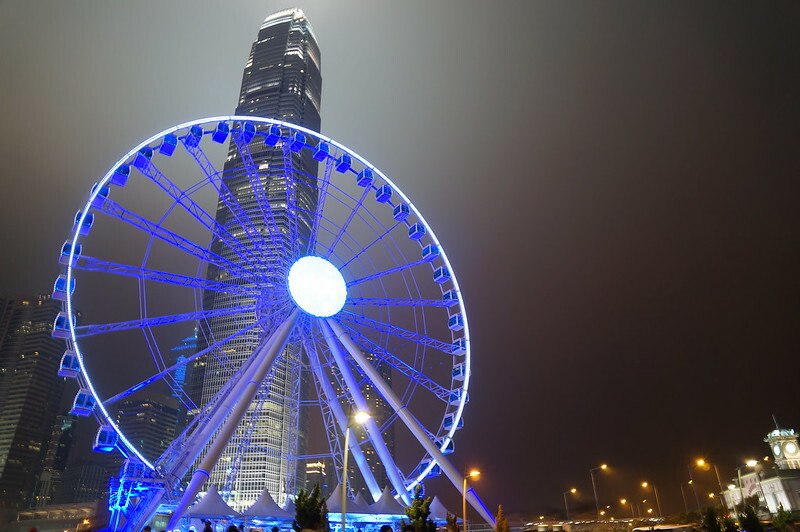 The 20 minute ride on this giant ferris wheel takes in three rotations, giving you impressive views across Victoria Harbour and beyond. A fun family activity, ride it during the day or better yet take a spin at night during the Symphony of Lights laser show. Tickets cost $100HKD for adults and $70HKD for kids under 12 (under 3s are free). 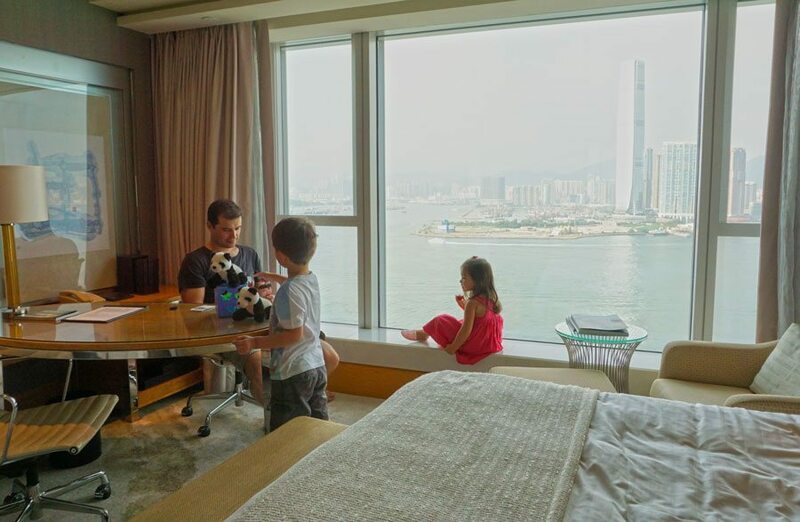 If you’re not lucky enough to stay Ritz Carlton in Kowloon when in Hong Kong with kids, families can catch the unbelievable views from the ICC building. Hong Kong’s tallest skyscraper has the Sky100 Observation Deck on the 100th floor. 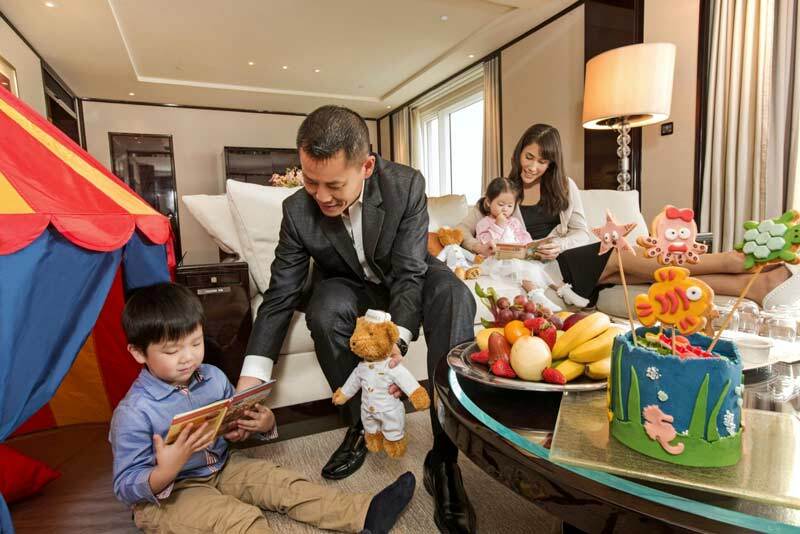 The lifts skyrocket families up to in 60 seconds flat, with panoramic views of Hong Kong, great day or night. Adult tickets cost HK $100 and Children 3 years – 11 years and seniors aged 65+ cost $118. Kids under 3 years are free. 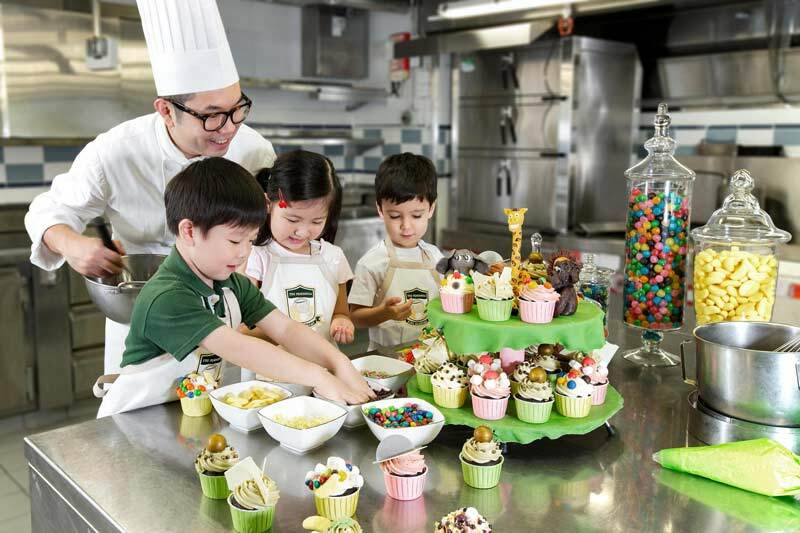 If you want to indulge a little, take the kids to level 103 of the ICC building, where Ritz Carlton’s Cafe 103 serves afternoon tea from 3:30pm – 5:30pm. Klook offers 25% discount pre-purchased online where a family ticket (1 child and 2 adults) cost $39 AUD. 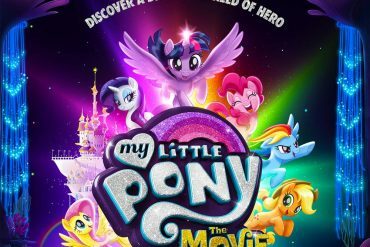 Otherwise adult tickets are AUD $22. Buy discounted Sky100 tickets here*. 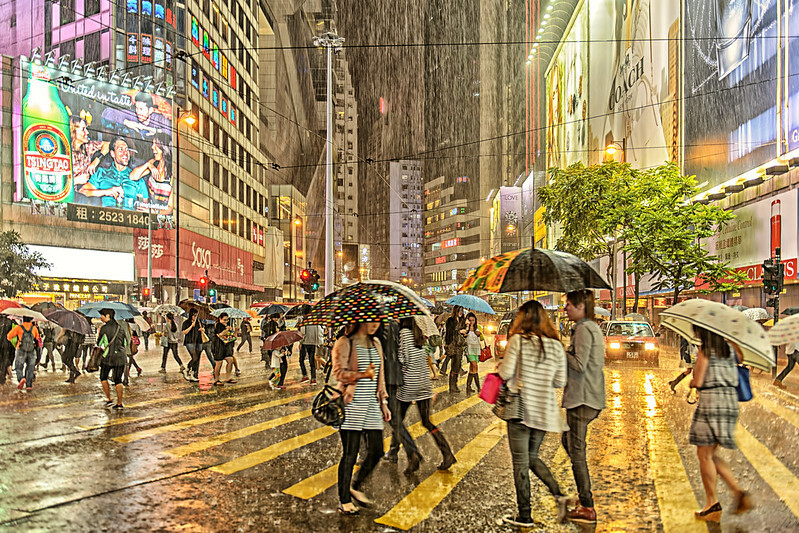 All situated within walking distance of Kowloon’s Tsim Sha Tsiu, the Hong Kong Science Museum, Hong Kong Museum of History and Hong Kong Space Museum provide educational family fun, particularly on rainy days when in Hong Kong with kids. 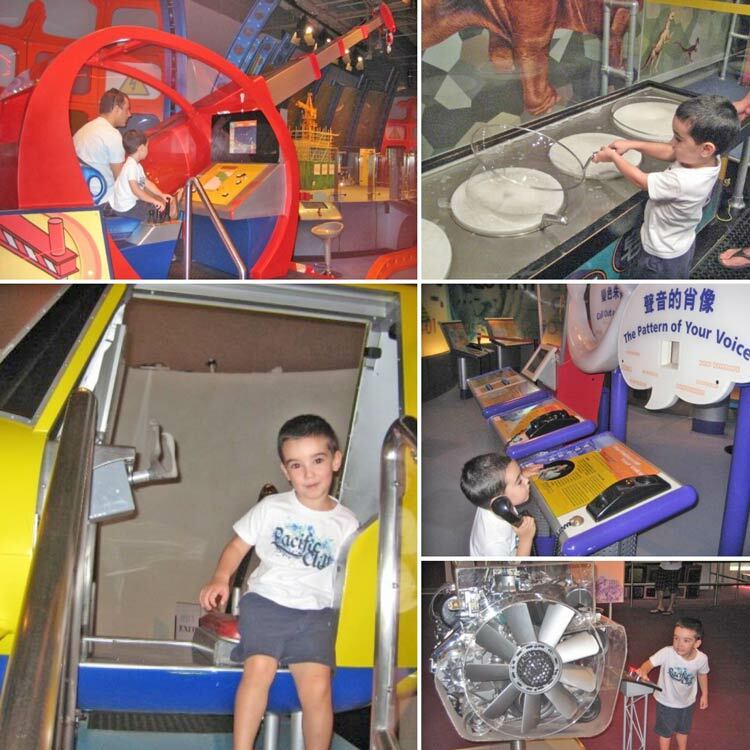 Cutey at the Science Museum in Hong Kong – fun! The Science Museum has loads of hands-on exhibits, including a (new) special children’s gallery (due to open in 2017) with bubble hoops, ball mazes and padded play area, a simulated car to drive, and a “World of Mirrors”. 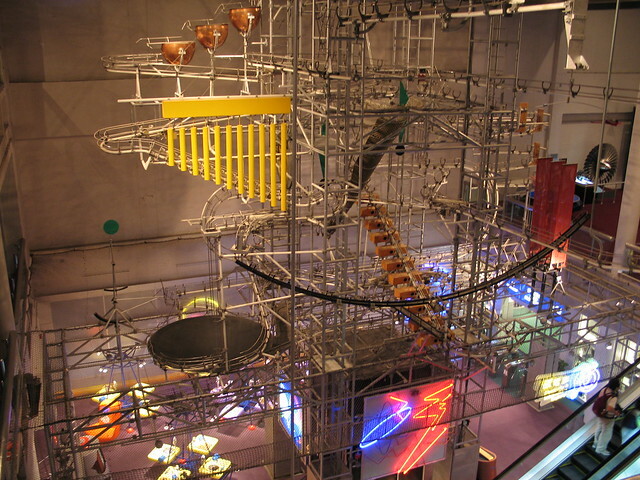 Don’t miss the energy machine that spans four-stories in the center of the museum, with moving balls that make amazing sounds and visual effects! Entry costs $25HKD for adults and $12.50HK for kids over 4. To purchase tickets and for more visit HK Science Museum website. Entry is free on Wednesdays, although they are invariably busier then too. If you’re in Hong Kong with kids, it’s best to go early at opening. Head next door to the Museum of History for a dose of Hong Kong’s intriguing history and rich culture. Ruled by Emperors, colonised by Britain, occupied by Japanese and returned to China in 1997. 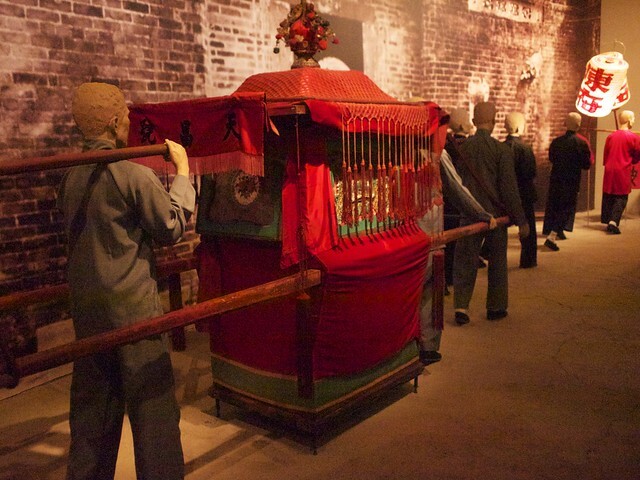 Take it all in with beautifully presented exhibits, each telling a story of Hong Kong’s history, whilst it isn’t a comprehensive history It skirts some of the Hong Kong’s rough past. A fun thing to do in Hong Kong with kids, you’ll encounter replicas of village dwellings; traditional Chinese costumes and beds; a re-creation of an entire arcaded street in Central from 1881, an old Chinese medicine shop; a complete Chinese opera theatre and a tram from 1913. While not quite as engaging for the kids, it does have a few hands-on things to keep them entertained, such as multimedia displays and interactive booths. 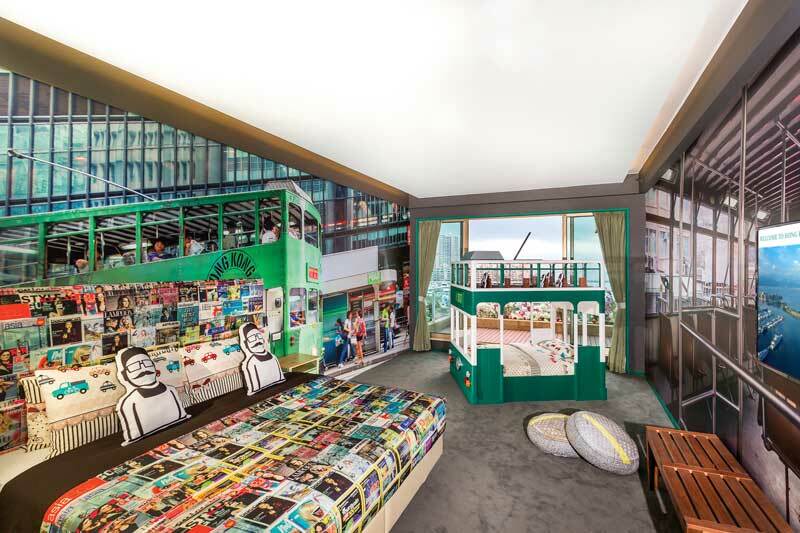 They will also love the early 20th century shops in its recreated streets, the iconic double-decker tram, and the authentic junk boat that they can peer inside. Tickets for the Museum of History cost $10HKD* and more info can be found at HK History Museum website. Entry is free on Wednesdays, although they are invariably busier then too. If you’re in Hong Kong with kids, it’s best to go early at opening. *Please note prices may vary. Hong Kong’s space museum’s permanent exhibits are closed until the end of 2016 for some much needed renovations, however the Hong Kong Space Museum is worth a wonder if in the Tsim Sh Tsui area and have some time to spare when in Hong Kong with kids. 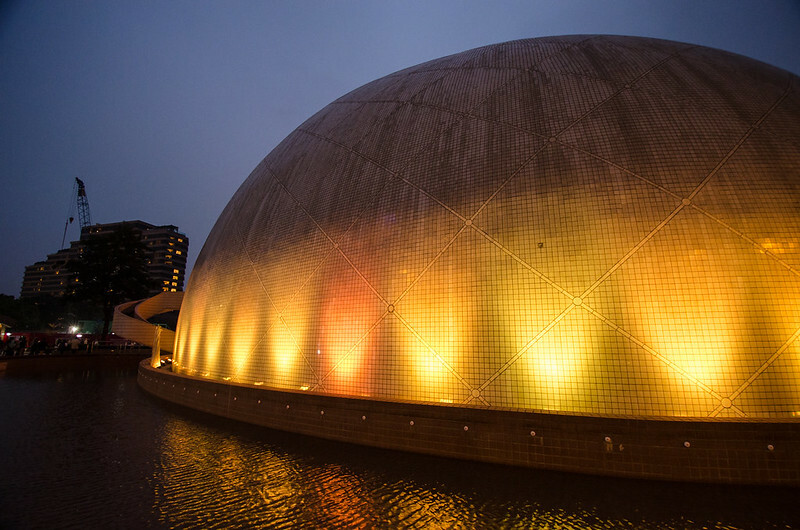 Interactive exhibits like the virtual paraglider and anti-gravity harness (where you experience what it would be like to walk on the moon) are usually a big hit, as is the Omnimax theatre which displays nature-inspired documentaries and offers an almost 360 degree view. For future astronomers wanting to take a look at the night sky, you can also explore their Hall of Astronomy after dark. Narrations are in Cantonese so bare this in mind, kids will get the idea of the presentation and a immersion into the language. To check ticket prices once the Hong Kong Space Museum reopens, keep an eye on the HK Space Museum website. Entry is free on Wednesdays, although they are invariably busier then too. Go early at opening. Every night Hong Kong’s Victoria Harbour is illuminated by an over the top sound and light show, named by the Guinness Book of World Records as the largest in the world. You can’t go past the dazzling show when in Hong Kong with kids. It starts at 8pm and for 14 minutes, lasers and light beams shoot from the tops of skyscrapers whilst neon lights bedazzle iconic buildings. The show is accompanied by music and narration which at best is kitschy, though it borders tacky. For the most impact, head to Hong Kong Cultural Centre in Wan Chai or the Avenue of the Stars in Tsim Sha Tsui for the live broadcasts. We found it more relaxing and less garish, watching from comforts of a harbour front hotel. If you are visiting during Chinese New Year or other national holidays, there is usually a fireworks show to accompany the Symphony of Lights, but crowds can get thick along the waterfront. The views across Hong Kong from the glass-bottomed Ngong Ping 360 are pretty breathtaking, and in just 25 minutes this cable car will transport you from Tung Tchung to Ngong Ping village on Lantau Island. The village is home to the famous Big Buddha (Tian Tan Buddha), reached by 268 steps (which can be challenging for little legs) and offering sweeping views across the mountains, as well as the Po Lin Monastery. When in Hong Kong with kids, stop and have lunch at the monastery’s renowned vegetarian restaurant, or try their homemade bean curd or mango-filled dumplings from the snack store next door. 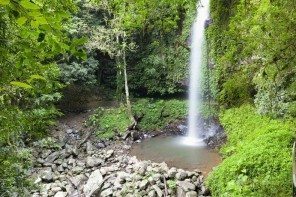 Although the village itself is quite touristy, there are some nice short walks to do in the surrounding forested areas. Tickets cost $130HKD for adults in a standard cabin and $180HKD for a crystal, glass-bottomed experience, with kids 3-11 costing $90HKD for a standard and $125HKD for a crystal cabin. Online promotions are offered throughout the year, check the Ngong Ping Cable Car website for the latest deals and packages. If you don’t want to pay for the “crystal cabin” (glass-bottomed cable car), you can just opt for the standard cable car, but keep in mind that the queues are a lot longer! 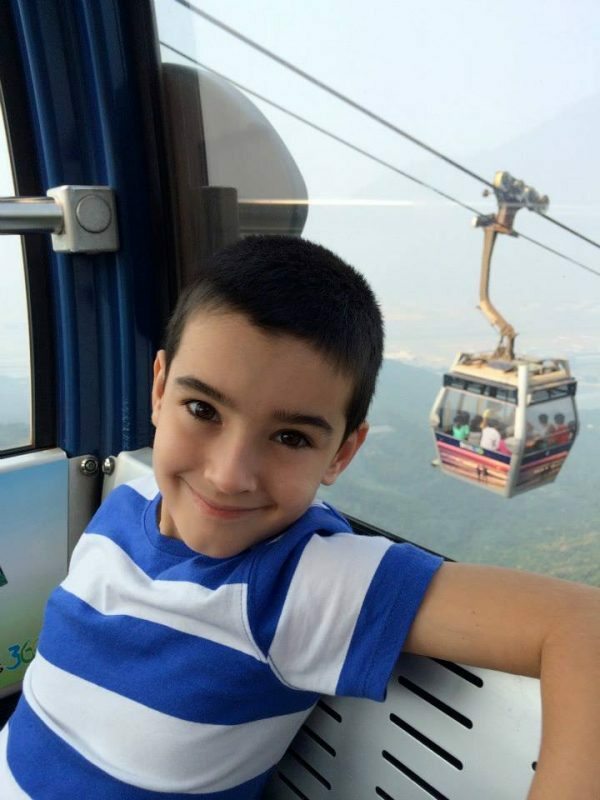 The Ngong Ping 360 cable car does scheduled maintenance four times throughout the year, so check the Ngong Ping Cable Car website to make sure it is operating when you visit. 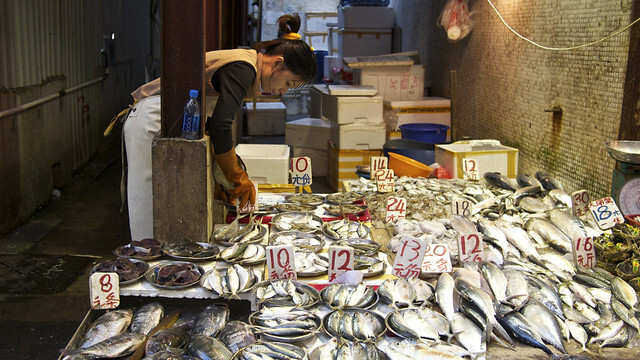 Even if you’re not there to buy, exploring Hong Kong’s markets is a fascinating experience and a chance to capture the essence of Hong Kong, a world away from its glitzy skyscrapers, glimmering malls and theme parks. Once upon a time, the markets were a real eye opener where fresh chickens can be selected and “prepared” as you wait and bloodied quails plucked live of its feathers. With the 2003 SARS outbreak and the clean up of the markets and city streets, most wet markets have moved inside government regulated buildings and fresh chickens are rarely available. For the uninitiated there’s still much to see that will astonish and delight. Food does not get any fresher and nothing goes to waste, from the top of the ears to the tip of the tails and everything in-between. No doubt remains an eye opener when in Hong Kong with kids, prepare to answer lots of curious questions. When in Hong Kong with kids, the wet markets of Wan Chai are a good place to start, with live seafood, fresh green vegies and tofu and blackened century duck eggs sold in this undercover building and surrounding streets. Around the block is Bowrington St Markets Shop fronts with plastic awnings line the street with fresh produce including live seafood with tubs of fresh slippery eel, frogs, swimming fish, prawns and shellfish. 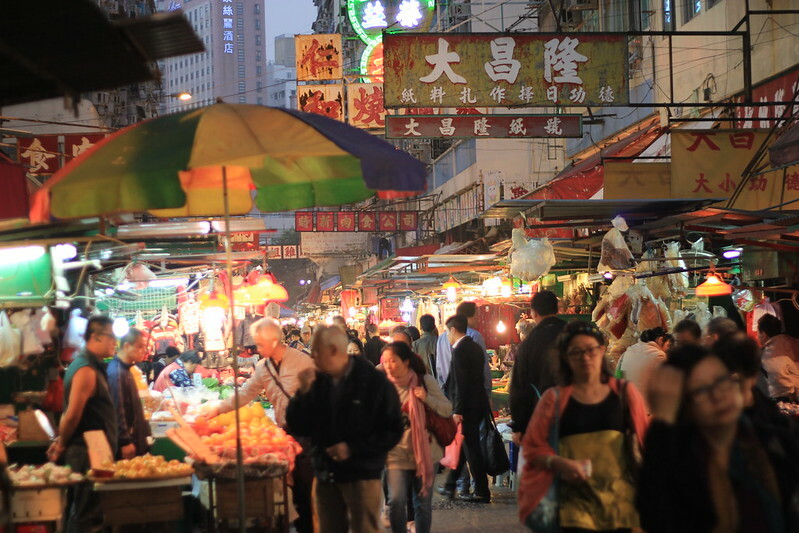 Take in the sights and smells of one of the oldest open air wet market of it’s kind when in Hong Kong with kids. Makeshift stalls hawk their wares from mounds of rice, mountains of fruit and vegetables, fresh cut slabs of pork and beef, boxes of live crabs and tanks of swimming fish. Go early and you may see carcasses of pigs being switflty cleft by butchers with meat cleavers. 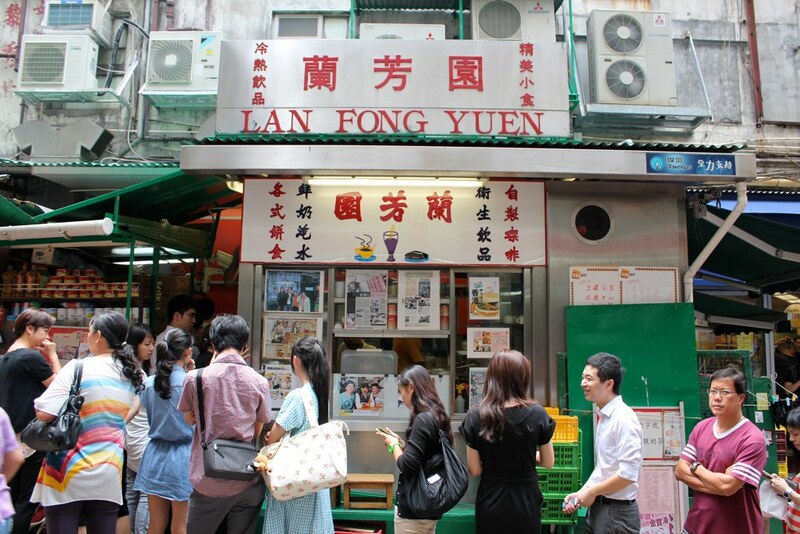 Between wet market wanderings pop into famous Lan Fong Yuen on Gage Street for a silk stocking tea. Image: Emily Orpen. Flickr CC. Thirty metres from Graham Street to Gage Street lies the infamous Lan Fong Yuen Cha Chaan Tea an inexpensive, no frills eatery famous for it’s milk tea (strained through a silk stocking) and pork chop rice. If it were up to me, I’d put this at the top of the list when in Hong Kong with kids, what a unique and authentic city experience. 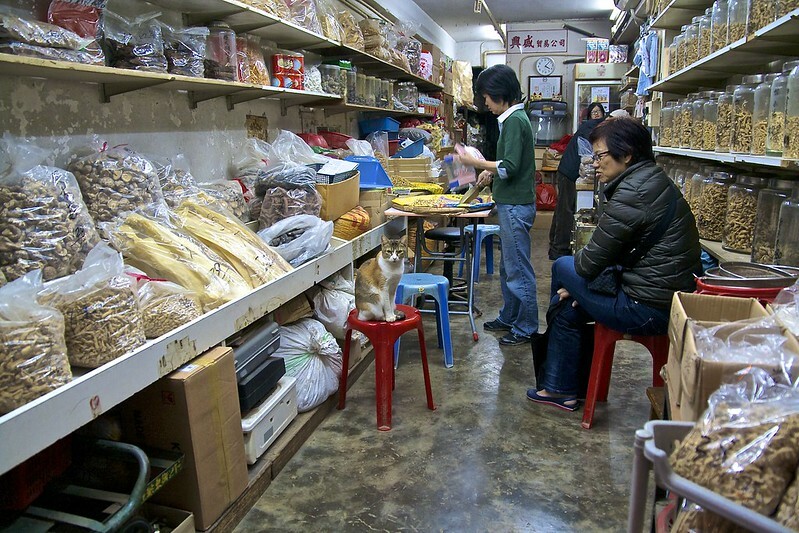 To see every imaginable type of dried seafood like squids, shark fin, abalone, whole salted fish and dried stringy black moss head to Des Voeux Road West in Sheung Wan. 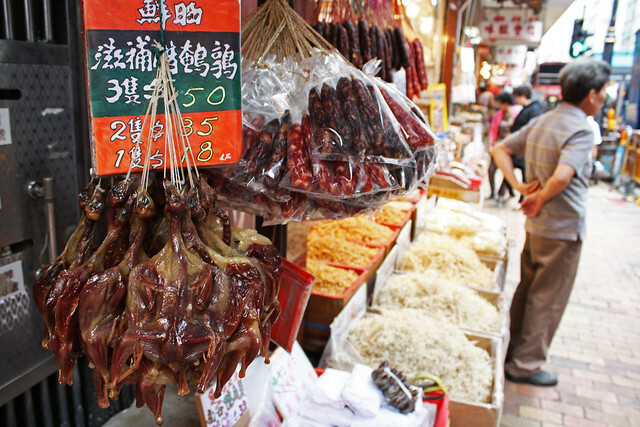 Another remarkable experience when in Hong Kong with kids, nearby is the ancient Chinese tonic market where you might be able to glimpse jars of birds nests, reindeer antlers, ginseng and dried herbs used in Chinese medicines. Take a side tour to Queens Road in Sheung Wan to see all kinds of joss paper offerings, which are burned for ancestors in the afterlife. Talented craftsman once hand made paper gold ingot, now anything and everything can be purchased to burn as offerings from iPhones, gold Rolex’s, BBQ meal sets, clothing to replica houses with cars and servants, most are now made in Mainland China. 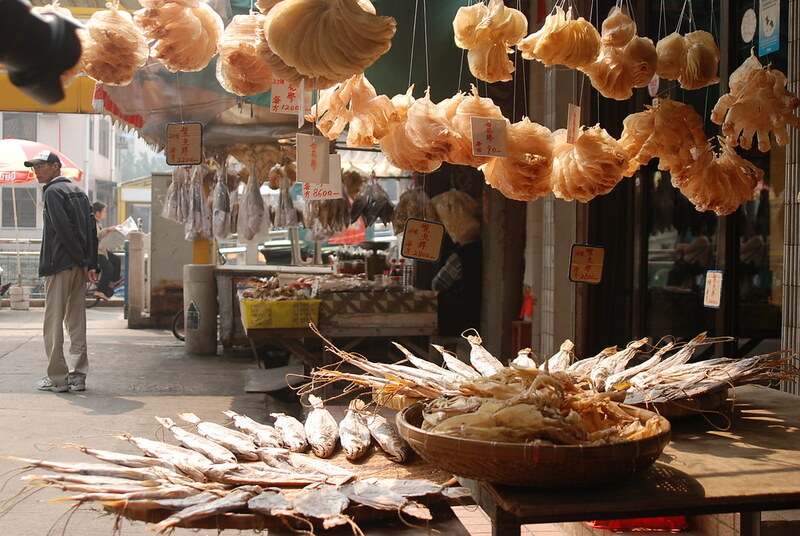 On either side of Chun Yeung Street is the wet market and also the grand terminus for the North Point tram. A bustling enclave of stall owners hawking their meat, vegetable, fruit and seafood whilst double decker trams rattle by. Though markets are not vanishing the importance of the wet markets have changed. 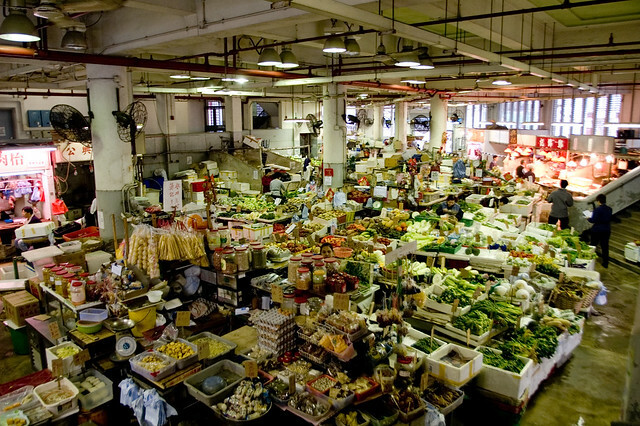 Hong Kongers prefer to shop in air-conditioned franchised supermarkets with fresh imported produce, Hong Kongers distrust the origin of market produce, “you just don’t know if chemicals from China have been used on the food”, my Hong Kong relatives would say. There’s a lesson to be taught when wondering the streets in Hong Kong with kids, you can even try a game of spotting the infamous fake eggs. Those remaining older generation of Hong Kongers that do shop at the markets send their Filipino house maid and the community atmosphere has shifted. 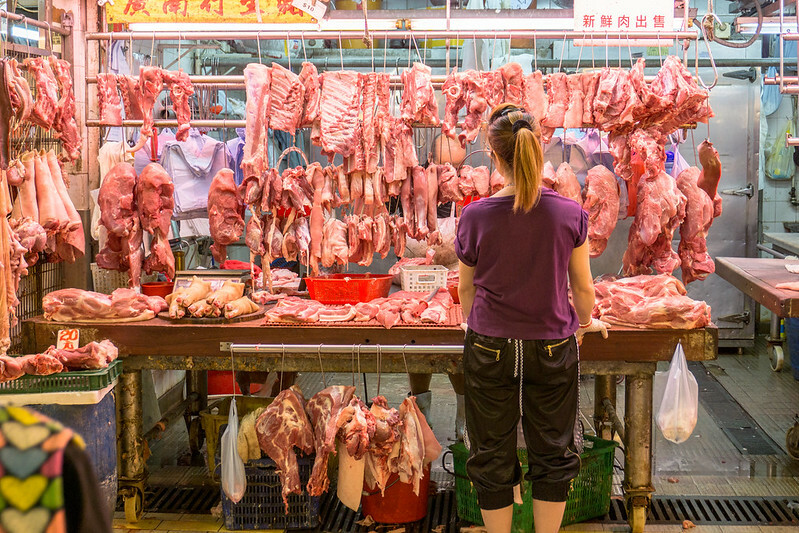 With the rise of Hong Kongers eating out and the traditional foods like lacquered dried salted ducks and Chinese lap cheung sausages no longer favoured by the young locals, these markets are on the decline, check them out whilst you still can when in Hong Kong with kids. Address: Tung Choi Street, Mong Kok. MTR: Mong Kok Station. 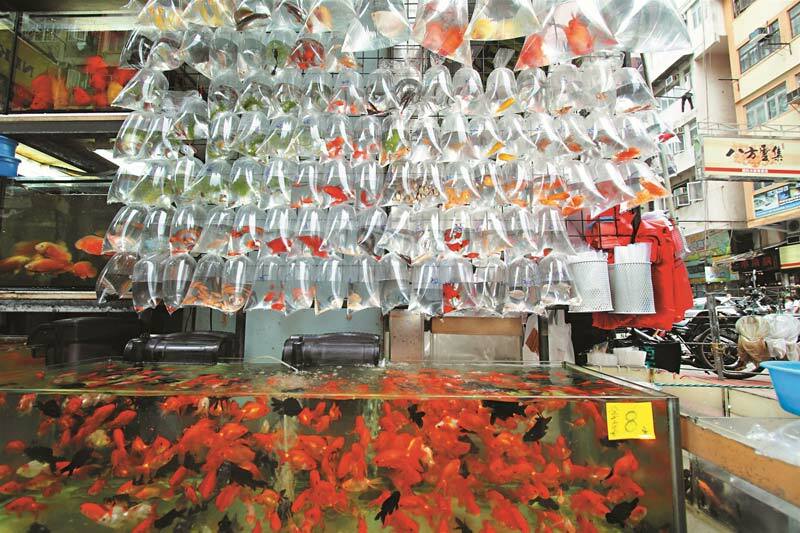 If you’re in Kowloon, then don’t miss a visit to the Gold Fish Market on Tung Choi Street, Mong Kok where the kids can see rows of colourful gold fish in plastic bags pegged to market stalls as well as frogs and turtles for sale as pets. Watching litter terrapins in blue plastic tubs struggle up the side walls of a shallow blue plastic tub and gazing at exotic fighting fish dangling like christmas baubles is one of my most prominent childhood memories and an experience to be shared when in Hong Kong with kids. 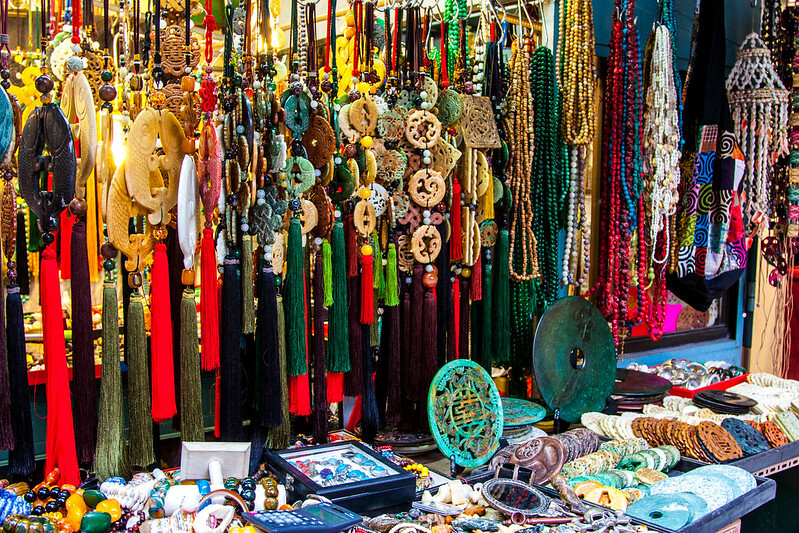 The southern end of Mong Kok is also known as the Ladies Market, if there is a bargain to be found it will be here, with clothing stalls as well as knock off designer purses and handbags, replica luxury watches, cheap cosmetics and household goods. Don’t let the name fool you there are plenty of toy guns, buble wands abd knock off Disney Frozen paraphernalia when exploring the market in Hong Kong with kids. 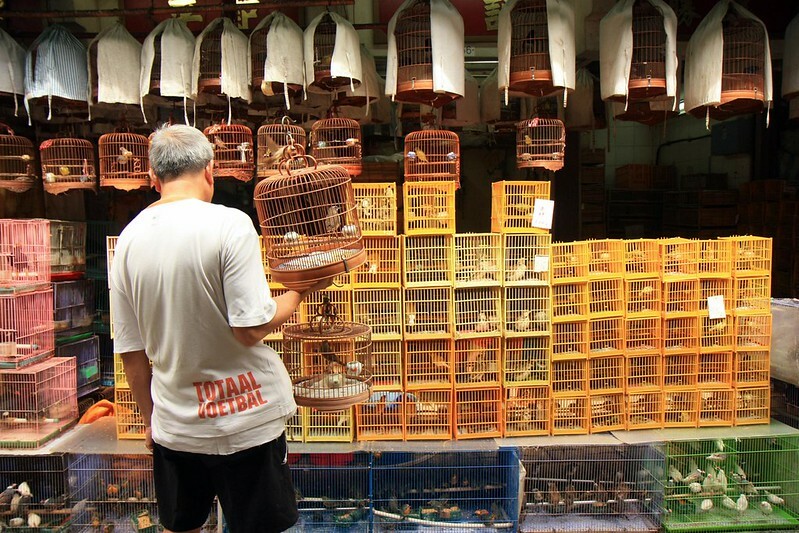 From Tung Choi Street in Mongkok, you can walk to the Yuen Po Bird Garden, or Hong Kong Bird Market, where old men “walk” their caged birds, seen socializing their birds with others over a game of checkers and can sometimes be seen feeding them live grasshoppers with chopsticks. This is what Hong Kong with kids is all about, the sights, sounds and possible interactions with bird loving locals. If you’re shopping at the wet markets, try and go early while the produce is at it’s freshest, but keep in mind that the meat sections can be overwhelming for the senses and may exceed some kids’ (and adults’) thresholds. Wash hands frequently with hand sanitizer and always wear closed toe sturdy shoes. One of the last fishing villages of it’s kind, the local Tanka people settled here two decades ago swapping the traditional junk boats for stilt houses, making their living from the sea. It’s a fascinating place to explore when in Hong Kong with kids. Tai O on Lantau Island is two hour ferry ride from Hong Kong, keep an eye out for the elusive colony of pink dolphins that are slowly dissappearing from the harbour. Keep an eye out when in Hong Kong with kids, you just never know. Escaping to one of Hong Kong’s nearby islands gives you a totally different experience and feels a world away from the bright lights and skyscrapers of this urban jungle. 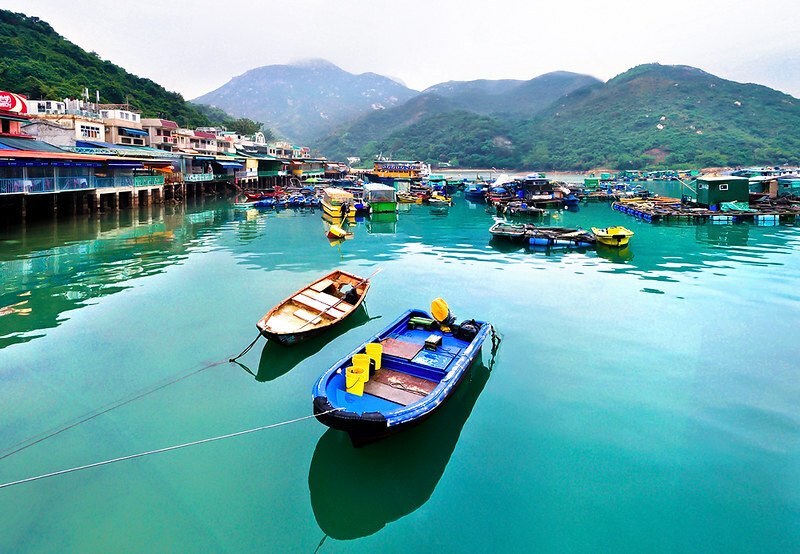 You can take the ferry to tranquil Cheung Chau where there’s a good swimming beach and kayaks available for rent, or take the 20-minute journey from Central to Lamma where a small fishing village serves up delicious seafood. The islands offer a different taste of Chinese living with great walking trails and picturesque lookouts. Ferries depart Central Pier #4 for Yung Shue Wan on Lamma Island about once every 30 minutes and costs $16HKD per person, with Sunday and public holiday fares slightly higher and kids normally around half price. Ferries for Cheung Chau depart from Central Pier #5, with slow ferries taking around 55 minutes and fast ferries 35 minutes. They leave every half hour during the day until around midnight. Tickets cost $16.80HKD for slow ferries and $22.50HKD for fast ferries (kids are normally about half price). 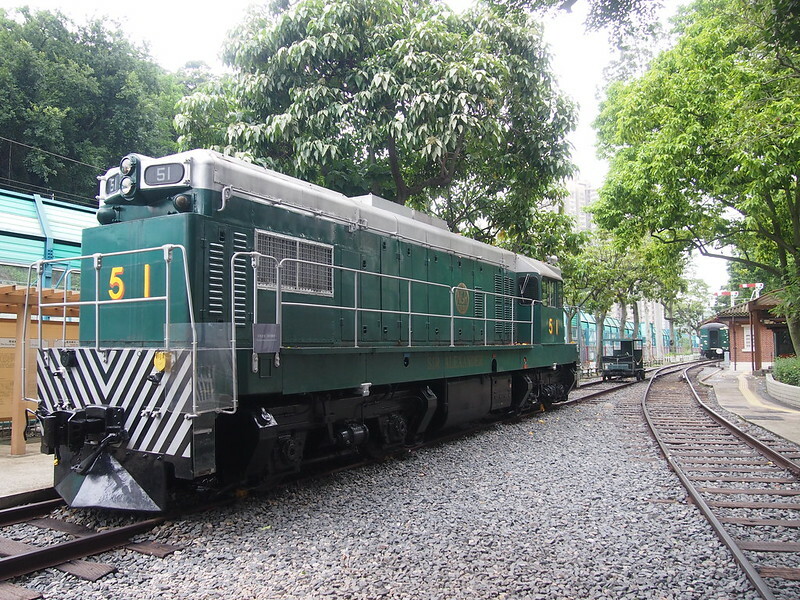 This open-air museum in the centre of Tai Po Market is great for Thomas fans and train enthusiasts. It covers an area that once was an old Market Railway Station and features a traditional 1913 Chinese station house, six old coaches, a narrow gauge steam locomotive and a diesel electric engine. The museum has recently undergone an update, adding interactive displays that make it a bit more family friendly when in Hong Kong with kids, and the best part is that it’s all free! For more info, visit the museum’s website. Shopping is one of Hong Konger’s favourite past times and it’s really good. The consumer driven country wants the latest, greatest and best quality. For visitors you’ll find a more extensive product line however large sizes in clothing and shoes can be an issue. Shopping in Hong Kong with kids is just as good with a wide variety of international and local brands. From exotic hard to find matchbox cars to knock off Disney merchandise straight from China it’s all here in Hong Kong. 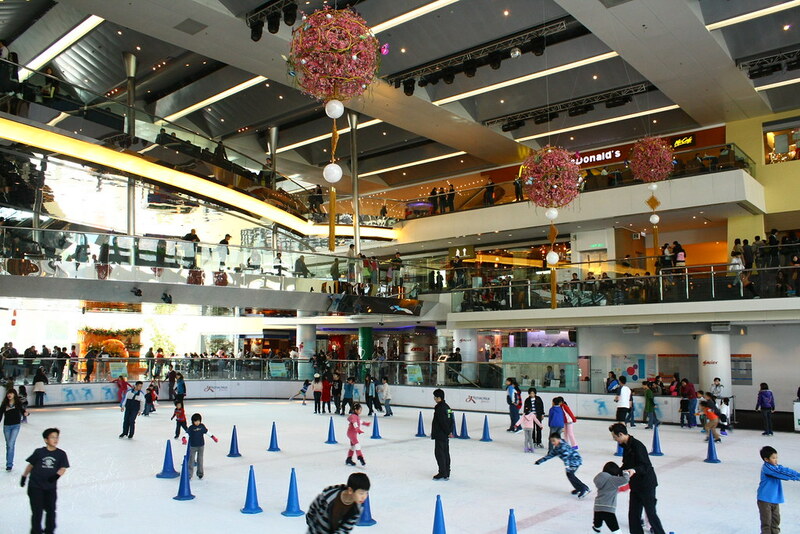 Head to CityPlaza in Taikoo Shing for one of the island’s most family-friendly shopping experiences, with more than 170 shops (including kids clothing and toys), as well as an ice skating rink. 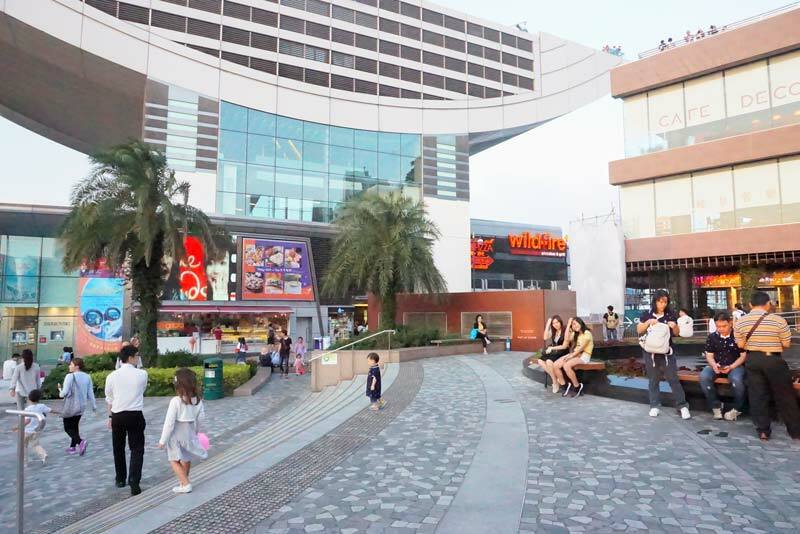 Or visit Festival Walk in Kowloon (with not only an ice-skating rink but also cinemas), which offers a light and spacious, stroller-friendly shopping experience. 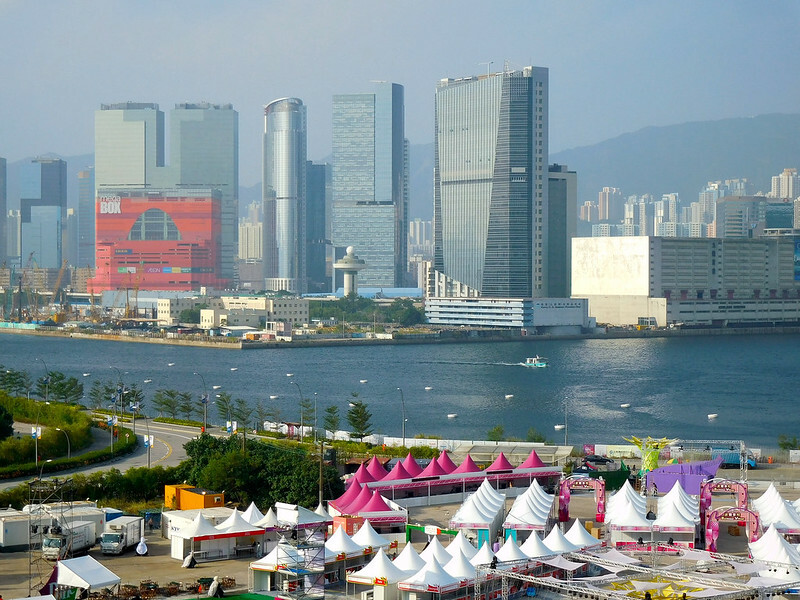 For everything from designer labels to baby care, head to the massive Harbour City at Tsim Sha Tsui. 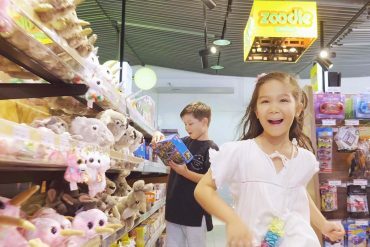 It’s 700+ stores are divided into four different areas, and just when shopping in Hong Kong with kids becomes unbearable, there’s a Toys ‘R’ Us, which never fails to disappoint shopping-weary kids. Prices are quite high but look out for sales and clearance items which are heavily discounted. Causeway Bay is a shopping mecca with stores jammed into every square inch along Yee Woo Street, George Street and Jardines Bazaar. There’s everything from designer duds, watches, electronics, mid-range asian labels to international brands, with plenty of dining options in food courts or along the street when in Hong Kong with kids. 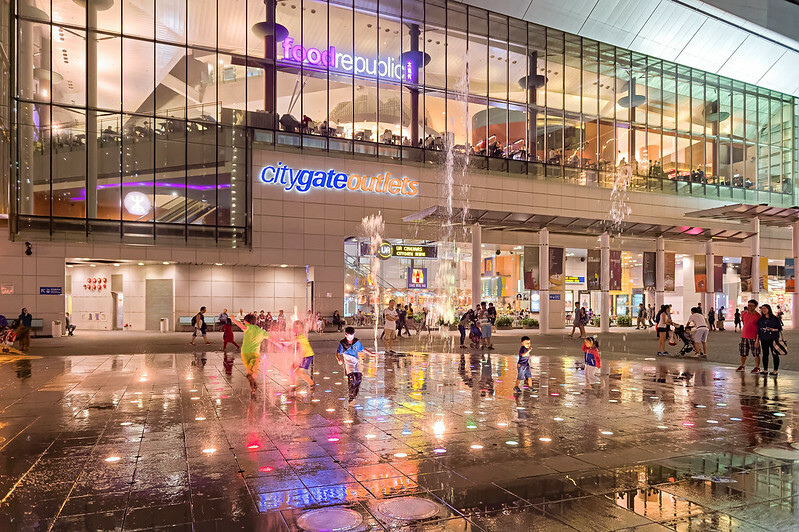 The major department stores are SOGO, Times Square, Beverly Center, Lee Gardens (there’s two) and WTCmore combined with shops along Jardine Bazaar and Jardines Crescent, you need not go anywhere else. If you’re visiting Lantau Island, there’s more bargain shopping opportunity at the CityGate outlets where brand name items are discounted. Or for a distinctly Hong Kong-style shopping mall experience. If shopping here in Hong Kong with kids, visit the WingOn Department Store on Nathan Road in Kowloon, where you’ll also find Play-doh and Fisher Price stores. Cameras, phones and laptops have long been something you would buy from tax free Hong Kong. The bargains are not as fabulous these days, but the variety and after market accessories are excellent. They may have cracked down on it, but pirate software ran rampant. It’s worth purchasing a copy of the latest Microsoft Word just for the experience, where no money is directly exchanged and a CD magically appears in a drop box. There’s plenty here to that may excited when in Hong Kong with kids, think Minecraft accessories, Disney iPad covers, knock off branded headphones and loads of kids electronic games and DVDs. 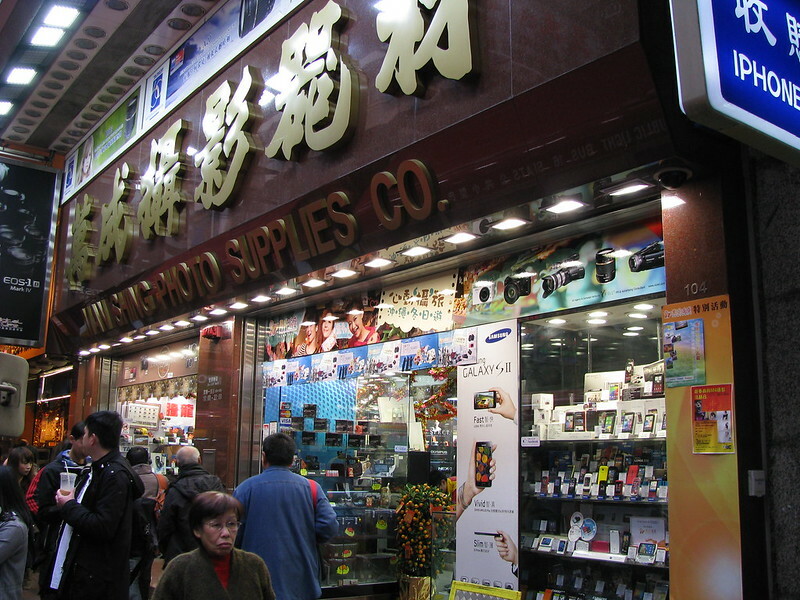 For Cameras head to Wing Shing Photo Supplies, 5-69 Sai Yeung Choi Street, Mong Kok. For Computers head to Wan Chai Computer Store, 144 Hennessy Road, Wan Chai. For Video Games head to Oriental 188, 188 Wan Chai Road, Wan Chai. Located around 12 kilometres south from Central lies the historic town of Stanley or Chek Chue with the locals. 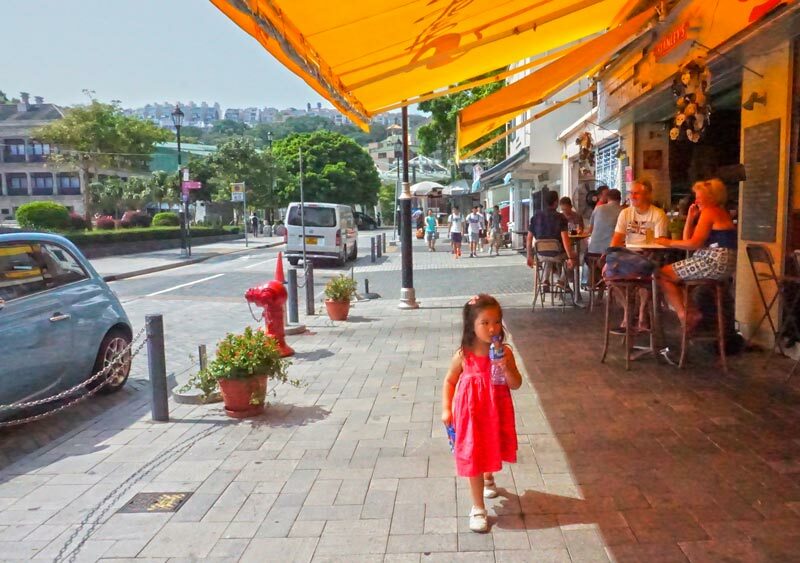 This residential area has attracted a lot of expats and wealthy Chinese for its spacious leafy surrounds, seaside setting and great alfresco cafes and restaurants. Somewhat of an institution for foreigners and easy to visit when in Hong Kong with kids. 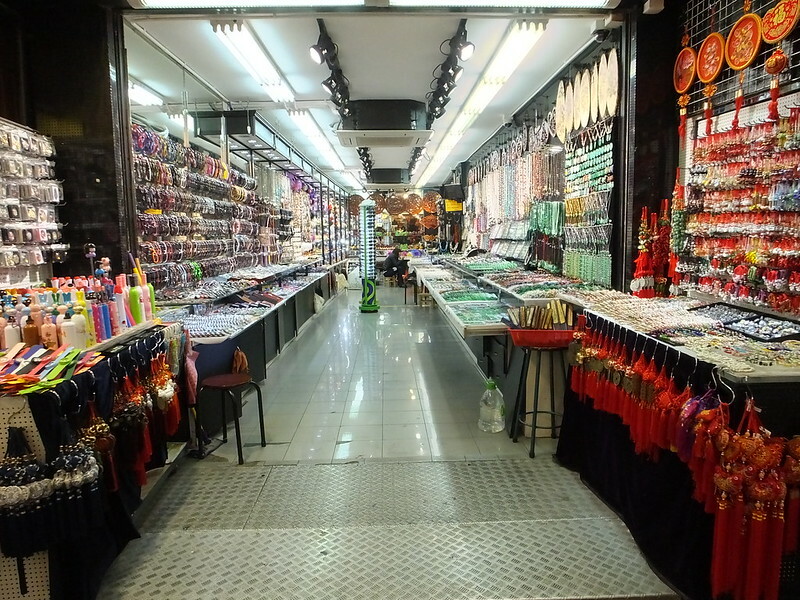 You can visit its famed Stanley Market (open 10am to 6pm daily) which sells souvenirs and goods targeted at tourists, there are replica bags, shoes and clothes as well as teapots, iphone accessories, chopsticks and cheung sams (traditional Chinese silk dresses). Bargaining is practiced, go in with a strategy as stall holders are seasoned veterans, depending on your expertise you can get a discount between 10-30% off the marked price, depending on how many total pieces purchased. After some hefty hustling take in the waterfront views along the Stanley Promenade from one of the cafes. 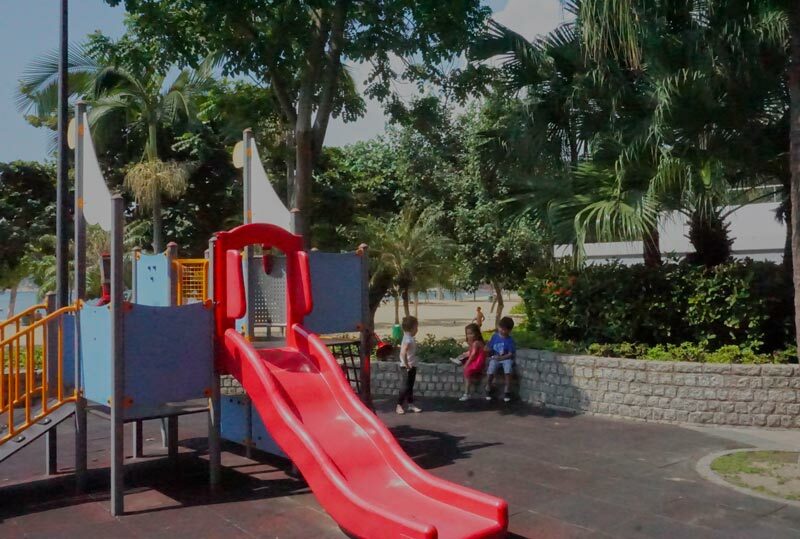 Or take the steps up to the Stanley Ma Hang Park (open 7am to 8pm daily) where there’s lush (stroller-friendly) nature trails, a butterfly garden, birdwatching platforms and great views across the ocean, as well as the small Pak Tai Temple at one end. Commercial shops can be found at Stanley Plaza a small shopping mall servicing the area with some trendy local brands and flagship stores like H&M as well as a number of dining outlets, bars, restaurants and coffee shops. There’s also a large undercover amphitheatre and a kids playground complete with pirate ship play area. Visiting this part of Hong Kong with kids is is likened to a typical suburban mall back home and a nice little break from the concrete jungle. Coincide a trip to Stanley with a visit to the Repulse Bay Visual Art Museum (open 10am to 7pm daily) when in Hong Kong with kids. It features 3D paintings and digital artwork where you and your kids can step into the picture and be a part of the artwork itself. There’s a number of different themed zones, including Screaming Space, Safari Adventure and Augmented Reality, all of which will redefine the fun factor of visiting an art museum, it’s cheesy fun but kids will love it. 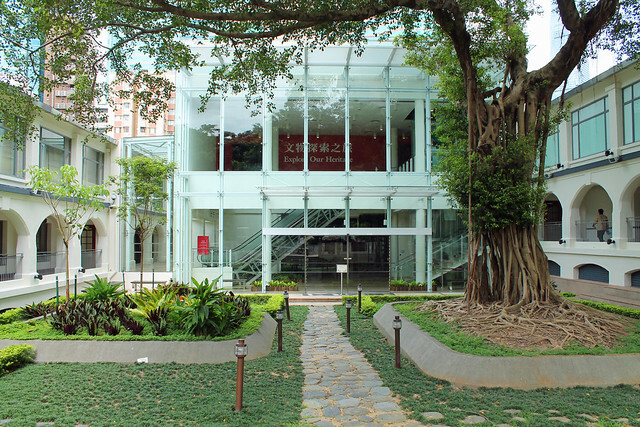 Tickets cost $160HKD for adults and $110HKD for kids 3-12, with a 10% discount if you book online see Visual Art Museum here. Repulse Bay is also home to a beautiful curve of golden sand, perfect for a splash around on a hot day. Set back from the beach is a playground, just across the road there are upmarket western style shops with enticing air-conditioning! 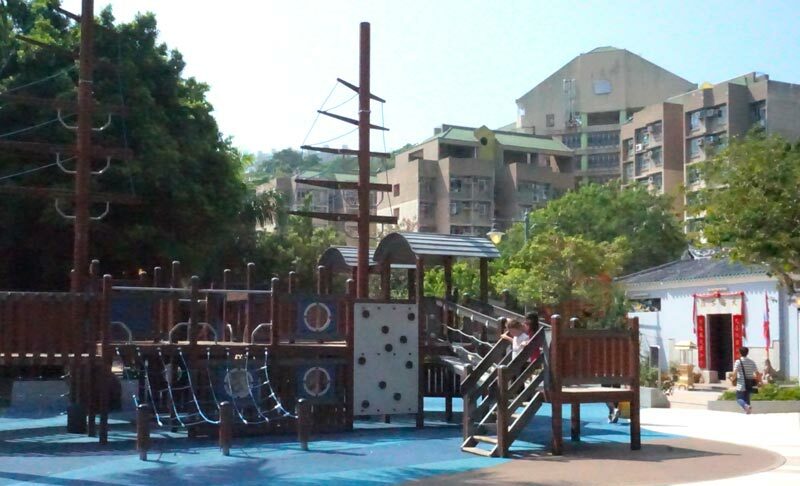 The playground by the beach Repulse Bay – kids cowering in the little bit of shade. It gets hot! Whilst the bay is safe for swimming, most Hong Kongers are found under the shade of sun umbrellas, hats and sunglasses and out of the briney water. This doesn’t deter the large groups of expats and visitors who flock to it’s shores on busy summer weekends. Whilst in the area, pop into Tin Hau Temple which is adjacent to the beach. The temple is dedicated to the Goddess of the Sea and one of Hong Kong’s most beloved diety’s who protects from the storm. Stanley Ma Hang Park is free to enter, but the boardwalks to reach the entrance are quite steep! 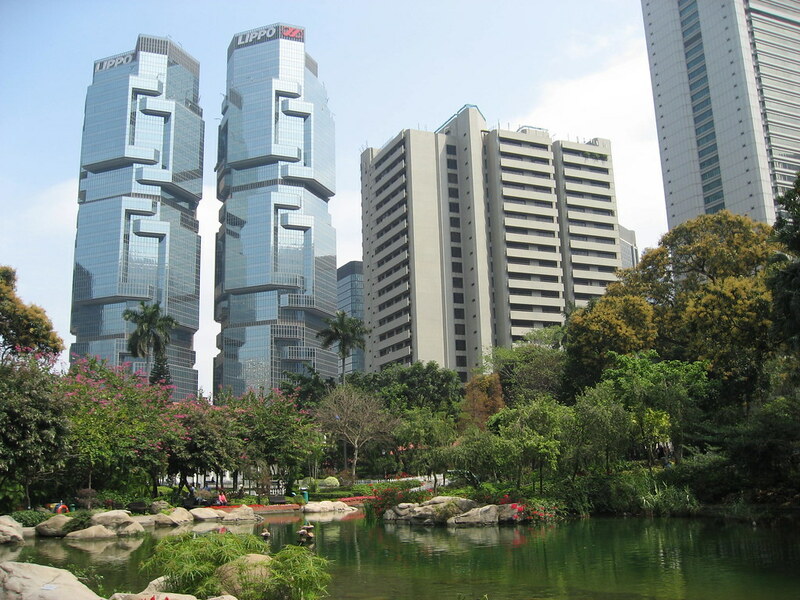 Situated in Central, Hong Kong Park is a beautiful green space, a rare commodity and makes for a nice respite from the bustle of the city when in Hong Kong with kids. There are koi fish and turtles in the ponds and streams which kids love to spot, as well as fountains, playgrounds and an aviary that is home to more than 80 different bird species. You can grab a takeaway and have a picnic in the park, or just make a note to stroll through if you’re exploring Central. If you’re a keen birdwatcher, there’s a free guided birdwatching tour on Wednesday mornings, run by the Hong Kong Birdwatching Society. The Flagstaff House Museum of Tea Ware is also located within the park, exhibiting all things related to China’s rich tea-drinking heritage and set within an elegant British colonial building. 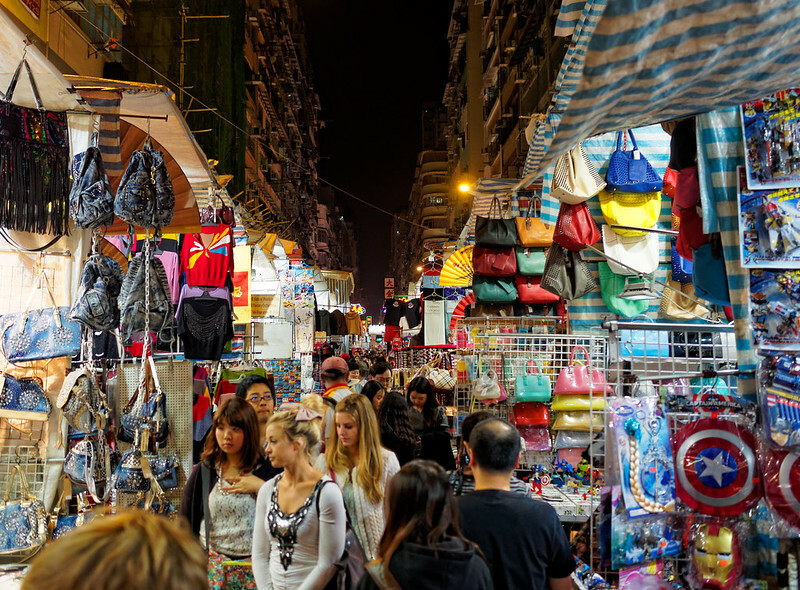 Stretching from Man Ming Lane to Nanking Street, and named for the Tin Hau temple complex at its centre, the Temple Street Night Market is the place to come for an authentic Hong Kong shopping experience when in Hong Kong with kids. Not only is there everything from tea ware to fake designer labels to haggle over, but plenty of dai pai dong open-air food stalls serving up local Hong Kong favourites. While the buzzing crowds might be a bit overwhelming for some kids, if you head down before 7pm it’s usually a little calmer. For a more kid-friendly shopping experience when in Hong Kong with kids, head to the Lego Shop at Ocean Terminal’s Toys R Us, whose displays are mind-blowing and free to see. 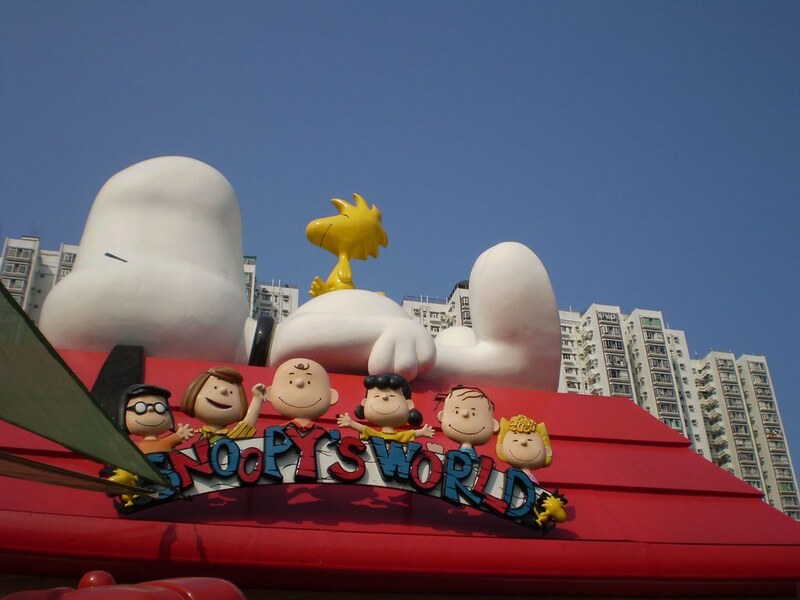 Not on the scale of Disneyland or Ocean Park, Snoopy’s World is Hong Kong’s themed playground servicing locals in the New Territories. Though it’s not an absolute must when visiting Hong Kong with kids, if in the area it’s a little lesson to see how Hong Kong kids live, they play in a shared concrete space and live in the surrounding shoe boxed apartment towers. 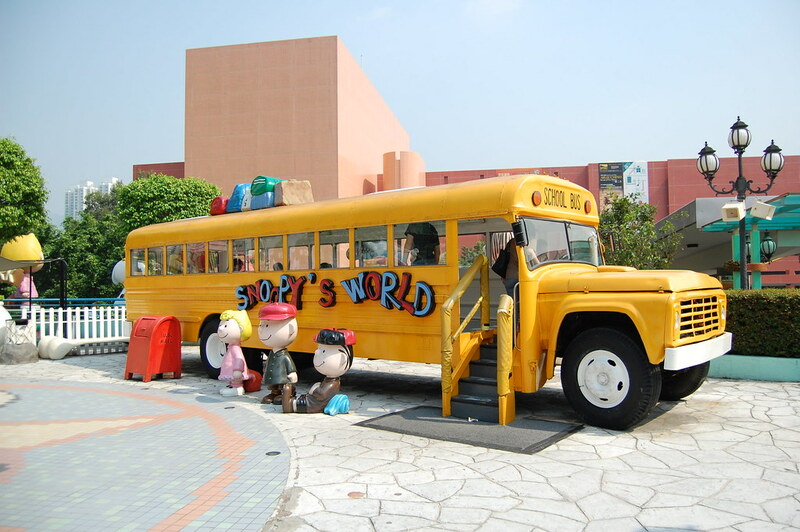 Located on the third floor of the New Town Plaza in Sha Tin (New Territories), Snoopy’s World features six different themed areas, with one canoe ride and plenty of opportunity to climb on the colourful settings and interact with the Snoopy characters. Worth a look if in the area or to squeeze a bit of shopping in at the New Town Plaza when in Hong Kong with kids. The historic tram is Hong Kong’s other iconic Hong Kong mode of transportation and the only double decker tramway in the world. Known affectionately as the “Ding Ding”, it’s been in operation for 110 years and an absolute must when in Hong Kong with kids. 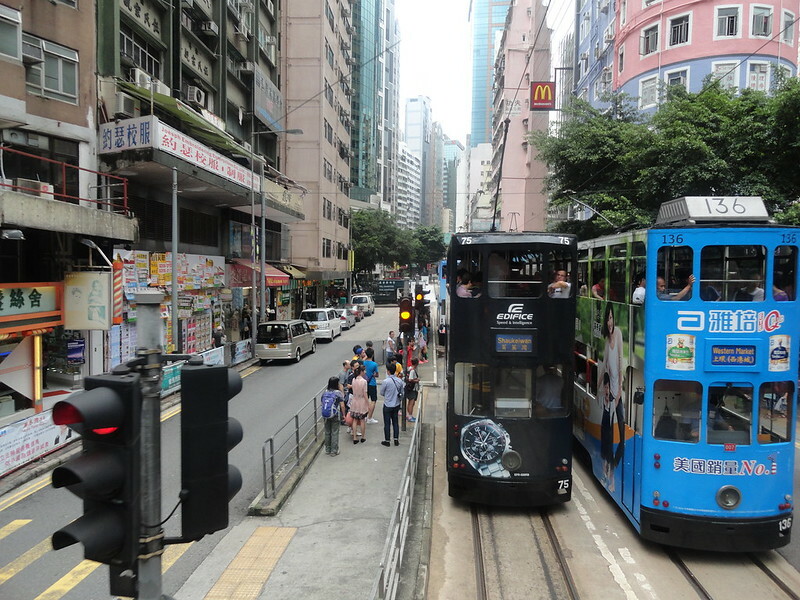 The trams with it’s traditional bamboo woven seats and distinct lack of air conditioning rattle along Hong Kong Island from Kennedy Town to Sha Kei Wan, meandering through historic tram stops including Admiralty, Central and Happy Valley. Locals almost rioted in 2011 when the fare was raised from $2 HKD to $2.30 HKD a first in 13 years. Visiting families will be less in arms, with exceptional value for money. A single journey regardless of stops costs around 40 cents AUD per adult. Kids 3 – 12 years cost $1.20 HKD. Exact change is required if paying in cash or Octopus Card is accepted, simply touch off at your stop. A recommended scenic tram route when in Hong Kong with kids, is the Western Market (Shueng Wan) stop to North Point tram trip, passing through Central, Wan Chai and Causeway Bay, taking in the towering financial towers, bustling streets, traditional markets, shop fronts and old tenement buildings. The ride takes 40 minutes and stops at North Point in the middle of a wet market. At North Point there is a large range of excellent dining from Shanghainese food, to local Dai Pai Dong in the North Point Cooked Food Centre to Michelen Dim Sum house Tim Ho Wan. 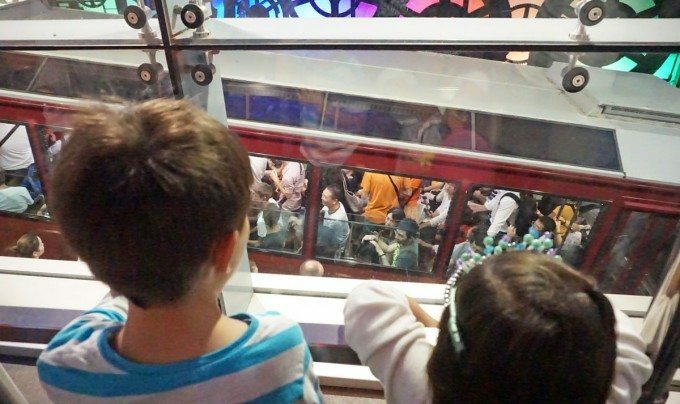 For families, take a journey on the tram to North Point and catch the much quicker MTR trip back. 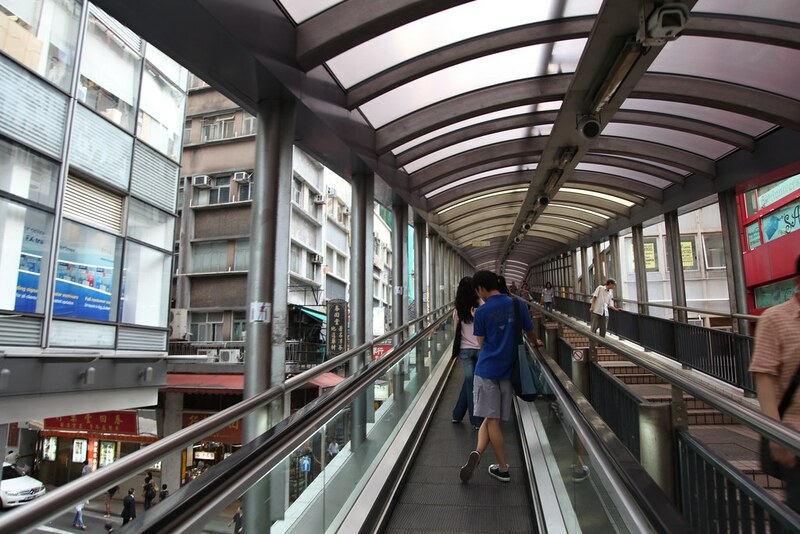 Hong Kong’s hilly terrain can make it challenging to get around if visiting Hong Kong with kids, but the 800 metre Mid-Levels Escalator conveniently reduces long climbs and is a tourist novelty, offering some sightseeing along the way. It runs from Queen’s Road in Central to Conduit Road in Mid-Levels. Allow 20 minutes for the entire journey and longer if making stops inbetween. The Mid-Levels Escalator are a series of sheltered escalators and walkways, with spots to exit along the route, taking you from the skyscrapers of Central through small alleyways and tea shops that offer a different glimpse of Hong Kong. Jump off at Hollywood Road for Man Mo Temple or look around Lan Kwai Fong a 10 minute walk to the areas gallery’s, boutique shops and casual restaurants. It’s subdued during the day and great for families to wonder around. Exit at Conduit Road for the Zoo and Botanical Gardens (though the botanical gardens offers a nice green escape from the concrete jungle, the zoo which is free houses some sad looking animals like Orangutan, Gibbons and Lemurs in small cages). The Mid-Levels Escalator runs downhill from 6am to 10am when commuters are coming to work and uphill from 10:30am to midnight. To see Hong Kong only during the day is to see but half of all that Hong Kong has to offer. 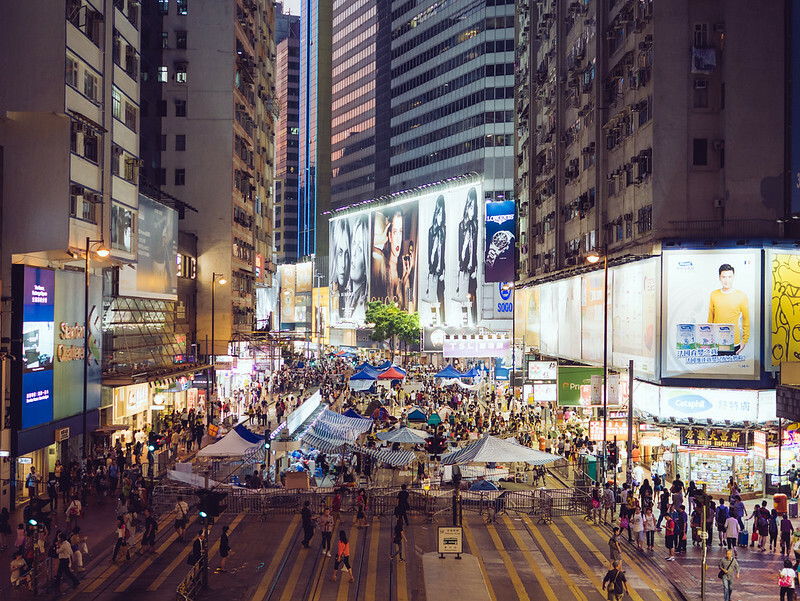 Hong Kong has a vibrant nightlife with evening shopping, bustling night markets, superb rooftop bars, chic restaurants and a hip bar and club scene. 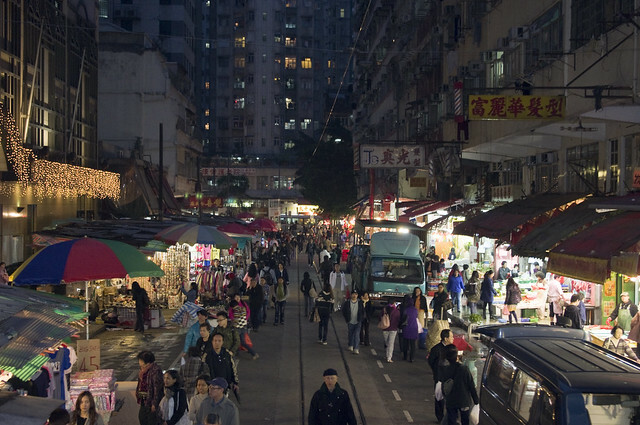 Perhaps the trendiest place to go after dark is to Lan Gwai Fong and SoHo. It’s really a right of passage for all vistiors, so next in Hong Kong with Kids, dtich tehm (with a trustworthy, reliable and safe babysitter) and hit the town. Strictly adult’s only and the only way to go is to hire a babysitter. Hotels can arrange reputable services. Funky bars and restaurants occupy a small grid concentrated around Lan Kwai Fong D’Aguliar Street and Hollywood Road. There are pool halls, restaurants of every cuisine, hole in the wall drink establishments, Irish, English and even Aussie themed pubs, supper clubs and Michelin starred restaurants. The success of LKF sees further bars and restaurants extend out along Wyndham Street, out to Queens Road, along Wellington Street and Lower Albert Road, forming the greater Lan Kwai Fong area. All this means is that there are plenty of choices for a bite and after work drinks. LKF is open on any given night, though it gets rowdier towards the end of the week. You’ll find expats, visitors and young professionals alike hanging out of shop fronts and spilling onto the streets in a contagious party atmosphere. Address: SOHO Central Hong Kong. MTR: Central then take the Mid-levels Escalator up. After dark you’ll find young Hong Kong professionals shaking off their busy work week in the area South of Hollywood Road known as SOHO. The lively atmosphere is thanks to the ease of which folks from the bustling business district of Central can arrive for good food, entertainment and a rewarding drink via the covered moving walk ways and escalators of Mid-Levels Escalator. Party goers ascend from Queens Road Central to SoHo exiting at either Staunton, Elgin or Shelley Streets. A majority of Hong Kong people practice a Chinese Buddhist religion which mixes in Taoism, Buddhism and Confucianism. You’ll find the older generation in particular deeply superstitious and follow traditional and religious rituals from practicing Feng Shui, providing offerings to ancestors and worshiping various deities that serve a different purpose at local temples. The most colourful place to catch a glimpse of local culture and religious practices when in Hong Kong with kids, is at Wong Dai Sin Temple set amongst a unique setting of sprawling grounds, undercover pagodas and surrounded by residential towers. One of the more famous of temples which draw a crowd of 400,000 visitors, a mix of locals, visiting worshipers and gawking tourists. 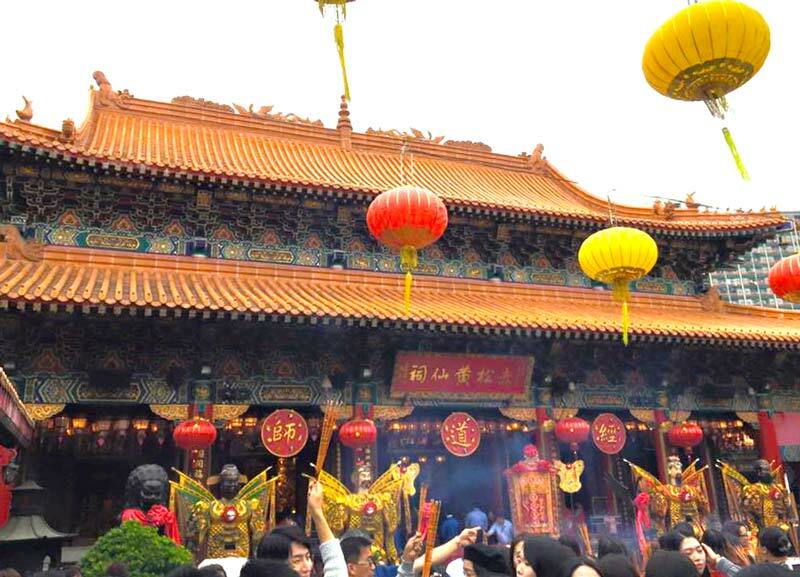 At Wong Dai Sin you’ll find worshippers lighting incense and hoping Wong Dai Sin will answer their prayers. 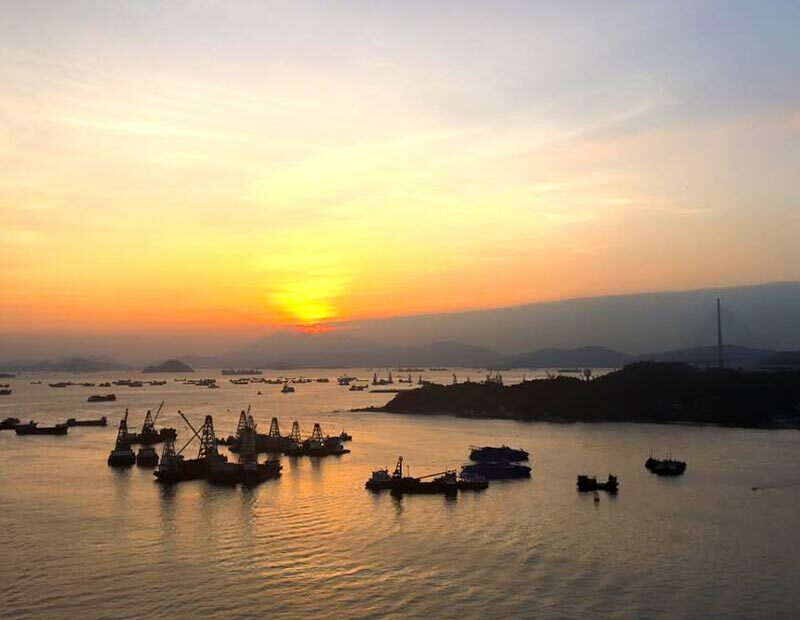 Linger longer and watch a most spectacular waterfront sunset in Shatin. Anyone is welcomed to join in in the popular ritual of “Kau Chim” where worshipers take a bamboo cylinder with bamboo fortune sticks, kneel toward the deity and ask a question or chant a prayer. This is done whilst shaking the canister until a stick falls out which has a number at the top. The number is exchanged for pieceshop of numbered paper containing your fortune. This paper can be taken to a fortune teller and for a small donation is interpreted. Some interpreters can speak English and can relay your fortune, fortunes can be positive or negative i.e. your business enterprise will be extremely prosperous this year or you may experience poor health this year. Every weekend Chinese grandma’s gather under the Canal Bridge flyover in Causeway Bay to perform the traditional Taoist ritual of “Dai Siu Yan” or villian hitting. Where paper effergy’s of the villain in question be it husbands, business partners, lovers, teachers or bosses who have wronged you can be beaten by a women’s shoe until it’s pulp and then burned. The idea is to curse those in question and make them suffer for their wrongdoing. There is a “General Villian” which curses all the general people out to harm you, rather than a specific person. A unique and bizarre Chinese voodoo, that have stood the test of time, where justice is heard through a few incantations and a methodic beating from a shoe. People not affected are advised to keep away as it is an area of dark magic, so a quick passing by is all families need to peer into a relm of vengeance. Participate or not, please give generously, whilst offering a weird and wonderful service for around $50 – $100 HK, these grandmas are making a living in one of the most expensive cities in the world. They along with 1.3 million Hong Kong residents are living below the poverty line and every bit helps an important little lesson when in Hong Kong with kids. Clear Water Bay 2nd Beach off Tai O Mun Road: map location. Quickest way is to hire a car with plenty of parking at Second beach or taxi (35 minutes drive). Bus 91 from Diamond Street MRT (50 minute journey) or mini bus 103m from Tseung Kwan (1 hour journey). 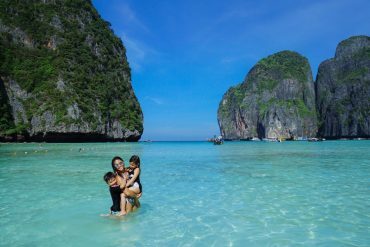 Clear Water Bay is a sheltered peninsula that offers two clean sandy stretches of beach, pragmatically named Clear Water Bay 1st Beach and Clear Water Bay 2nd Beach. 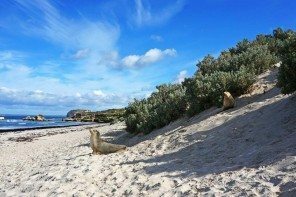 Popular with expats and locals wanting a beach side break, both beaches are busy on weekends and school holidays. Both beaches offer gentle waves and are protected by shark nets great for Hong Kong with kids with safe swimming and life guards on patrol. Each beach offer toilets and change rooms with showers, whilst 1st Beach offers BBQ facilities, 2nd beach offers a small kiosk. 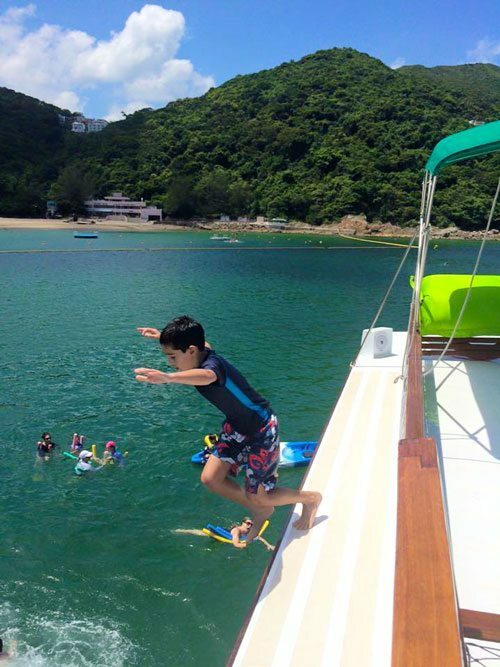 The best bet is to go visit on a weekday or better still do as the holidaying locals do and hire a junk for the day and cruise from Sai Kung or Causeway Bay to Clear Water Bay for a dip. Junk hire from $3,800 HKD and upwards depending on weekday or weekend hire, number of people and class of boat which range from basic to luxury. Worth the indulgence when in Hong Kong with kids. Check out Boat and Boating, Jaspers Junks and Jumbo Charters for a start. The most afforable way to do this is with a large group. 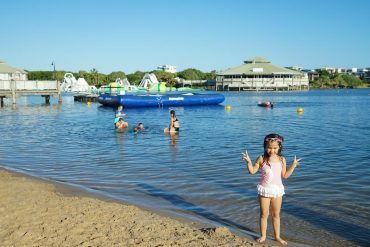 In 1995 a shark attack killed a man diving in Clear Water bay and although sightings are rare and incidents can happen anywhere, families swimming outside the shark nets are doing so at their own risk, there are plenty that do! The MTR makes zipping around both islands effortless. As long as you’re close to a MTR station, it really doesn’t make a big difference where you are based. We prefer Hong Kong Island for its historical buildings and conveniences to most of the must-sees, but Kowloon does have its advantages. Chances are you will frequent both islands of Hong Kong. 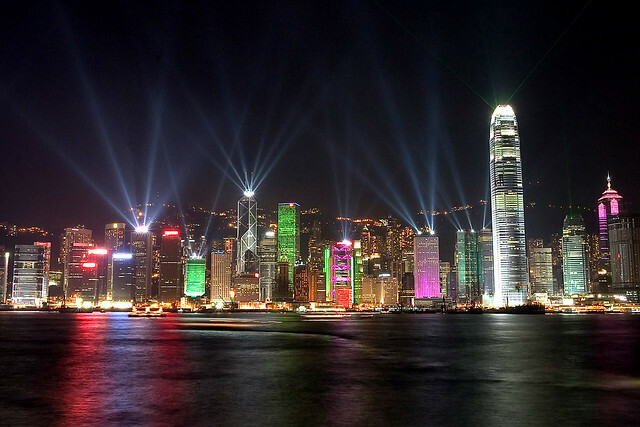 For a detailed look into where to stay in Hong Kong , Kowloon or Hong Kong side, click here. Kowloon East from Kai Tak terminal taken by the talented Eric Leung. The historic Mandarin Oriental is superbly positioned in Central adjacent to Central Station, nearby are ferry terminals and moments walk to the IFC Mall and Hong Kong Station. 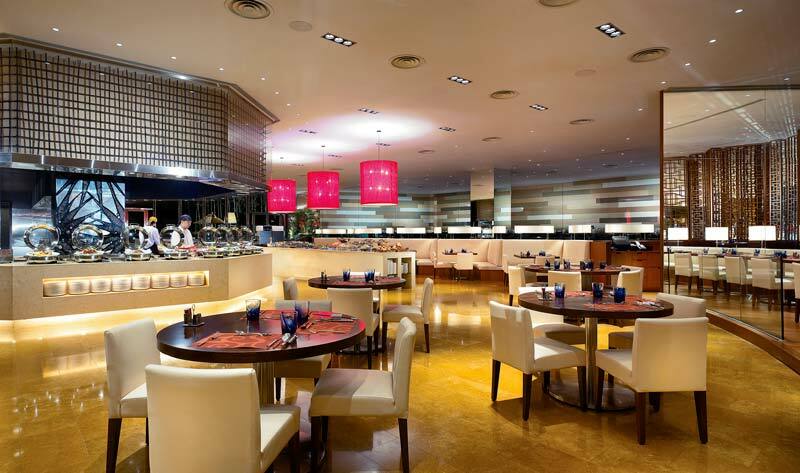 The MO features ten restaurant and bars, an iconic barber, indoor heated pool, deluxe bakery and award winning spa. 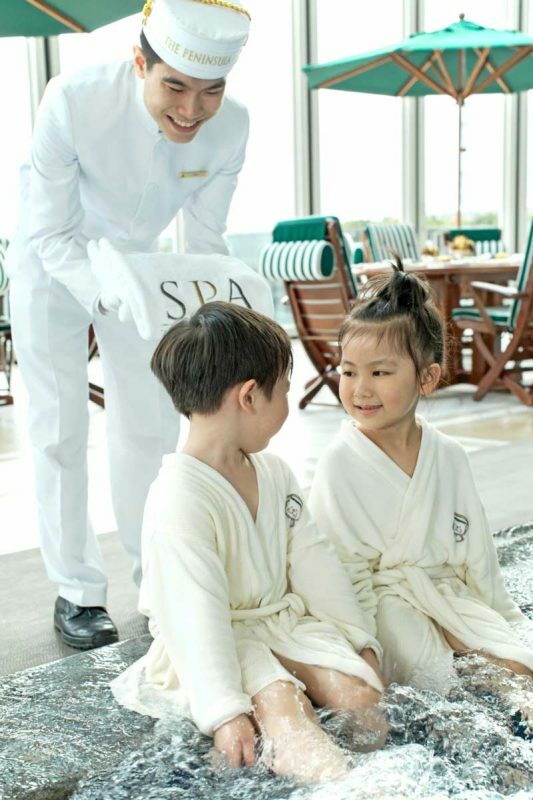 One of the most perfect places to stay in Hong Kong with kids welcoming families with open arms a luxury hotel with family rooms and exceptional family friendly service – we love it! Famous buffet breakfast with kids cutlery and the tastiest soup broth ever! A gut renovation 2005 introduced luxurious rooms with modern amenities including high speed WIFI, flat panel TVs and one touch lights, blinds and music. 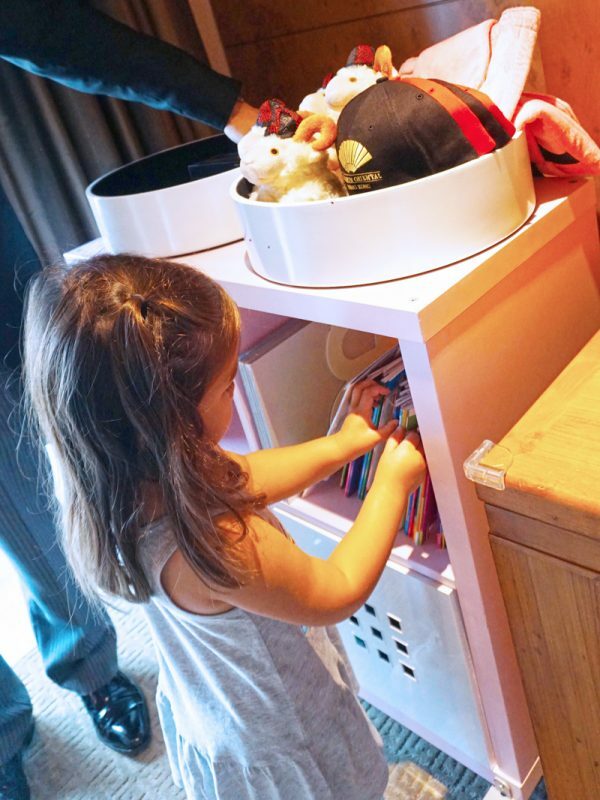 Families are spoilt with connecting rooms, kids beds dressed in panda sheets, children’s bathrobes, kids toiletries, kids library, welcome toys and an in-room Sony WII console. A floor butler on each level is available to assist families with all requests. For the best Mandarin Oriental rates click here. 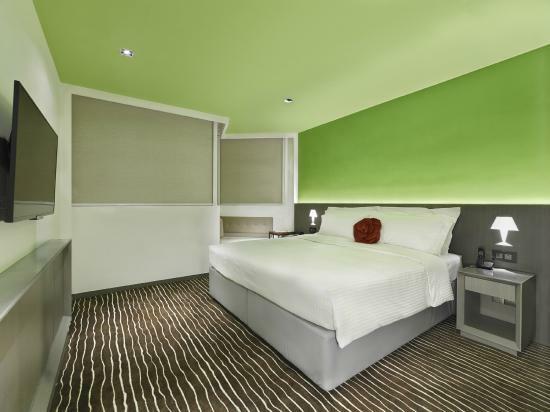 Recently rebranded and refurbished everything is light, bright and contemporary is the ultimate family hotel Hong Kong. 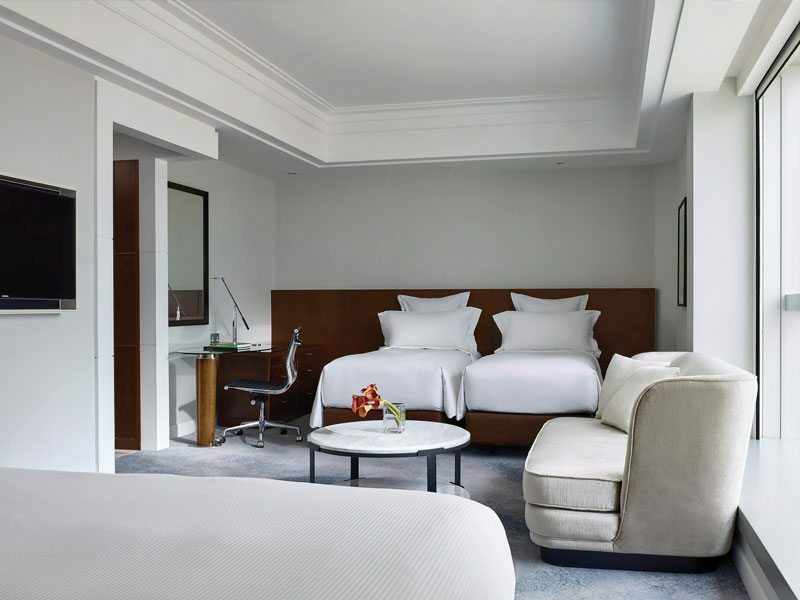 The Cordis Hotel at Langham Place is a chic five star Hong Kong hotel with family rooms and sensational views Hong Kong skyline and Mongkok below. The location is superb, moment walk to the MTR station and at the doorstep of famous Mongkok shopping and markets. What makes the The Cordis family friendly is the room configurations, spacious quad share and 2 bedroom family suites invites families to spread out and enjoy. They have also designed the Cordis Kids program which invites kids to indulge with kids size robes and slippers, be welcomed with toys on check in and eat well, with kid proportioned, affordable and healthy kid friendly menus. For Cordis Hotel at Langham Place rates, click here. 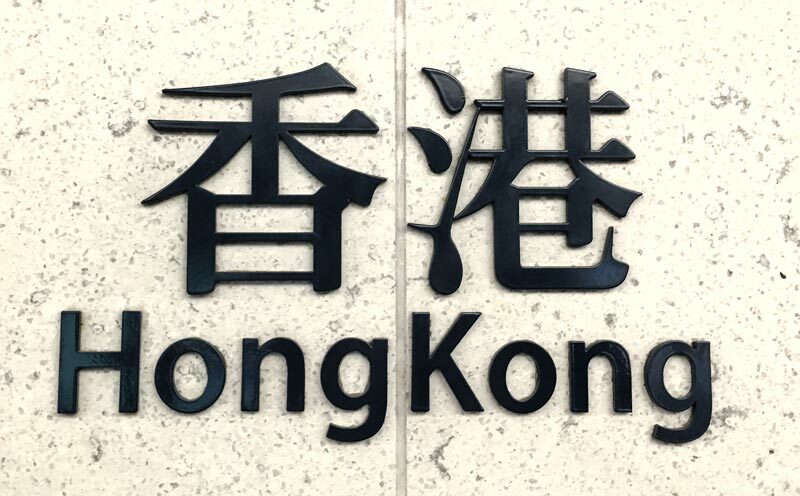 Address: No.8 Finance Street, Central, Hong Kong. Website: Four Seasons Hotel Hong Kong. 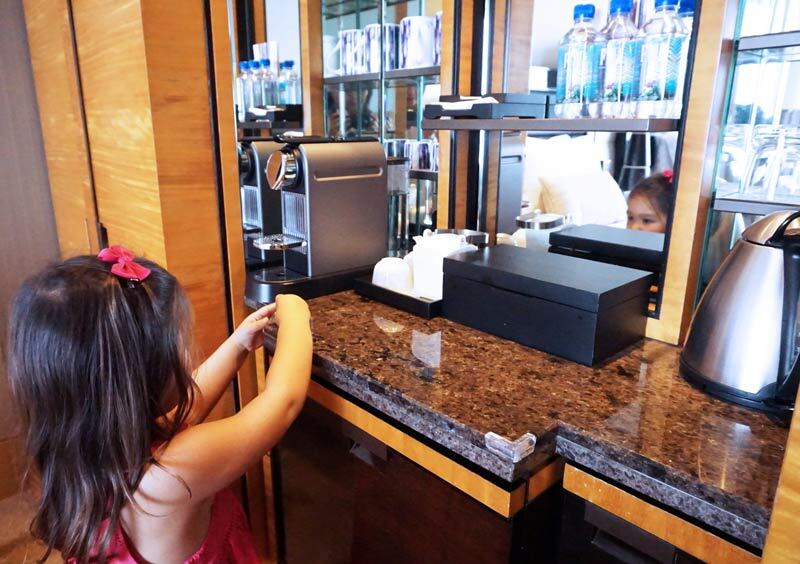 Family friendly luxuries include kid size robes, children’s toiletries, complimentary baby amenities, dedicated kids menus and in-room babysitting. Read our detailed review of Four Seasons Hotel Hong Kong. 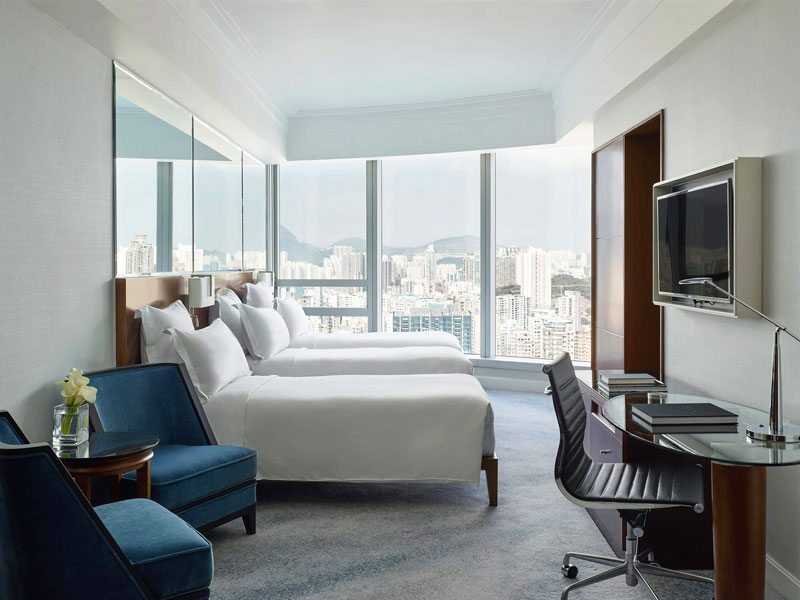 For the best Four Seasons Hotel Hong Kong rates, click here. Occupying the top floors of the ICC building the tallest tower in Hong Kong, The Ritz-Carlton is another wonderful five star family hotel in Hong Kong. 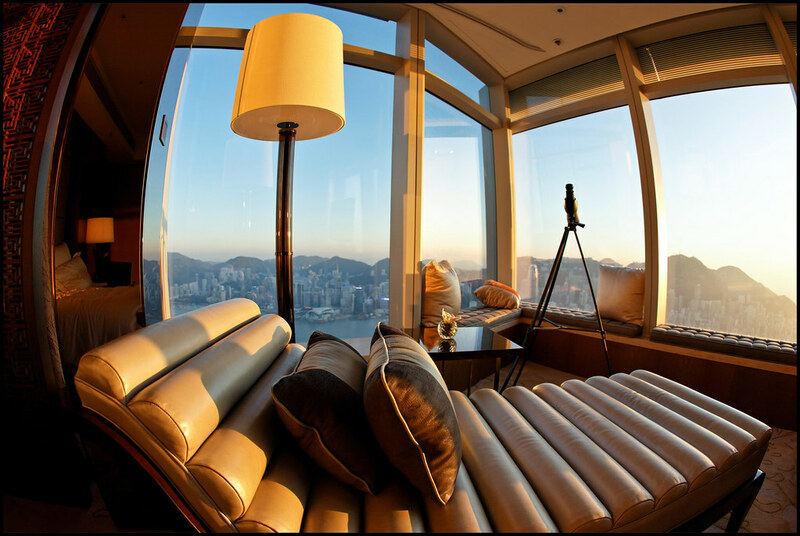 At 490 meters high, the suites feature floor to ceiling glass windows with phenomenal views of Victoria Harbour and the Hong Kong city. The hotel features a “Five-Star” rated spa, indoor infinity pool, Michelin-starred restaurants and The Lounge and Bar the highest in the world. 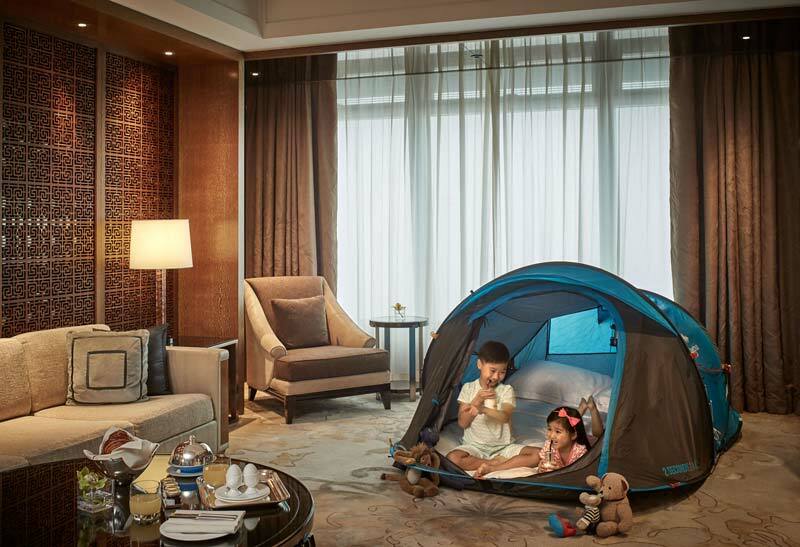 It’s the Ritz Kids feature that is most exciting for families, with healthy kids menu on offer and a night safari set up in the room which includes a tent and LED lanterns. Kids are also gifted with bath toys, printed tote bag, kids toiletries and provided with bathrobes and slippers. Ritz Kids cooking program. Image: Ritz-Carlton Hong Kong. 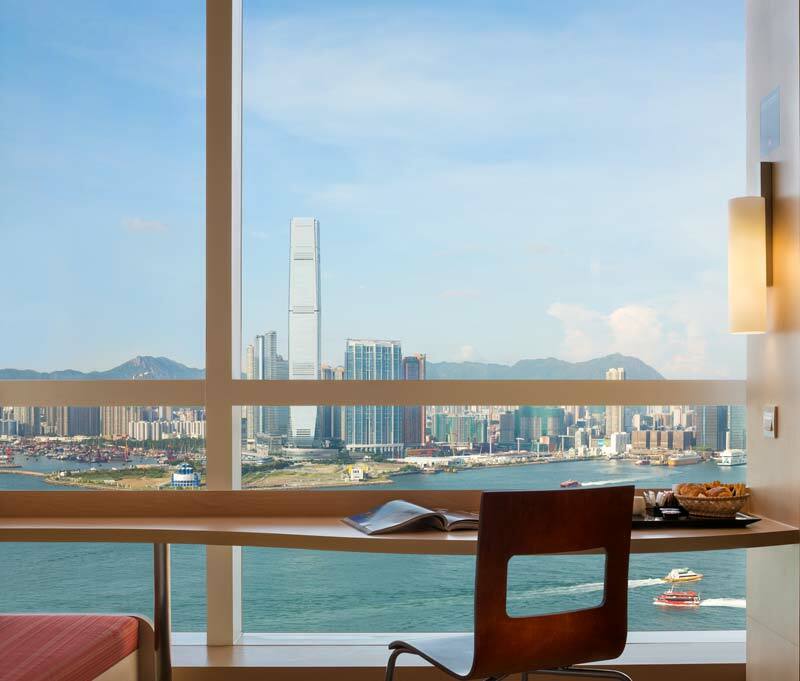 For Ritz-Carlton Kowloon rates, click here. Address: Salisbury Road, Tsim Sha Tsui, Kowloon. Website: The Peninsula Hong Kong. 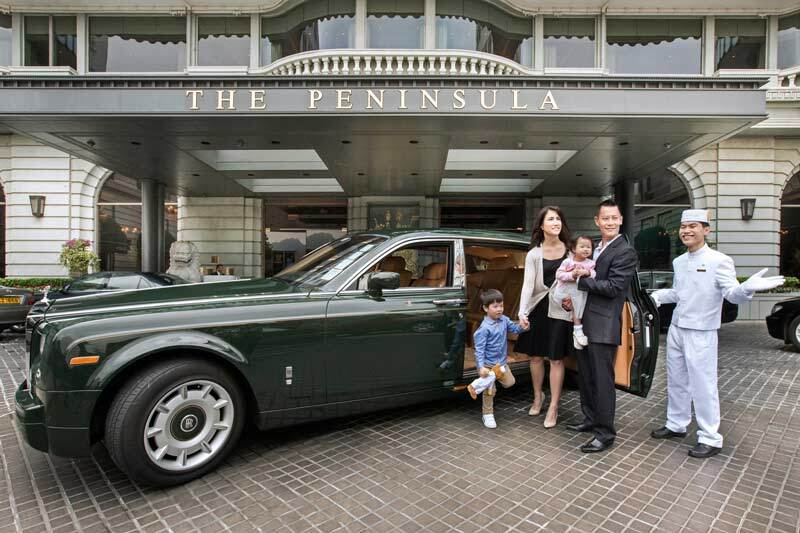 The oldest hotel in Hong Kong boasts it’s own fleet of Rolls Royces, The Peninsula is every bit as regal as it was in 1928 with service just as esteemed as yesteryear. Today the opulently furnished rooms features modern luxuries like touch panel displays to control everything from fans, to bedside lights and room temperature. Luxuriously appointed rooms and suites feature mini-bar, in-room coffee and tea facilities, wireless telephone with VOIP and complimentary high speed WIFI and HD movies. 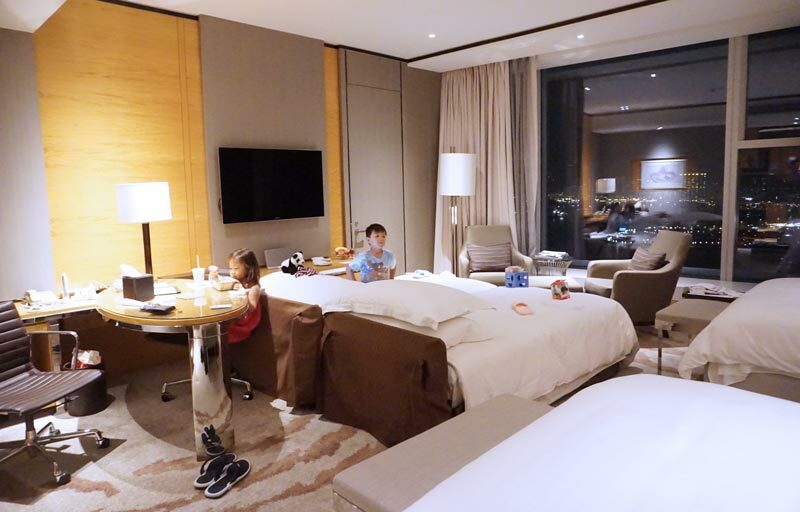 Such prestige does not mean kids aren’t welcomed, with mini-robes and slippers, kids toiletries and babysitting on request it’s a superb luxury place to stay when in Hong Kong with kids. 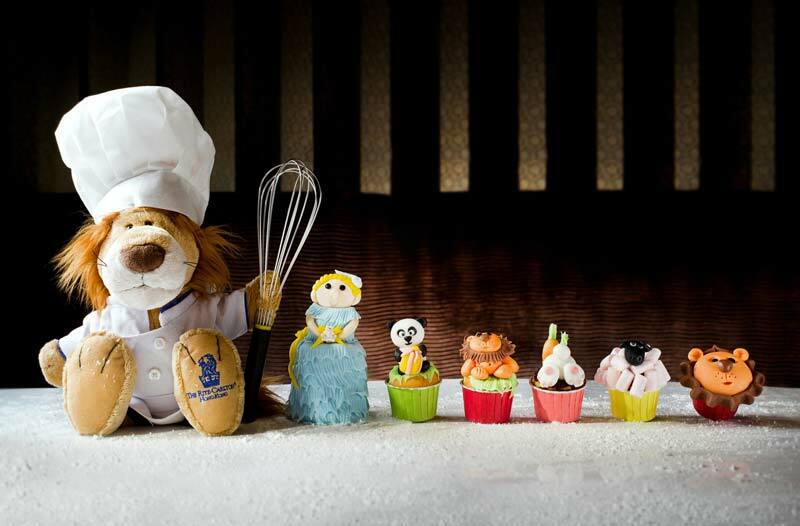 The Peninsular Kids Academy is just for young guests, who get to prep food with pastry chefs, make their own cup cakes, enjoy a behind the scenes tour and buffet and take home their sweet treats as well as their own apron. 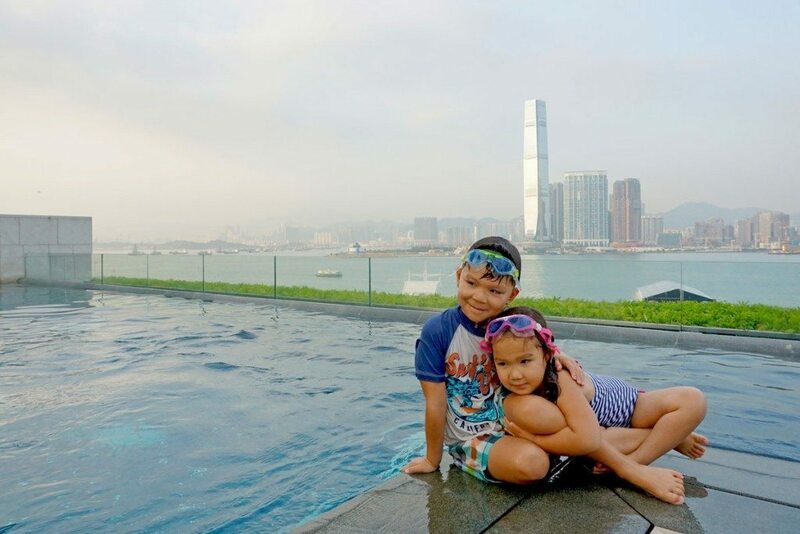 Afterwards, kids can take a dip in the 8th floor swimming pool with remarkable views of the harbour and Hong Kong city skyline. 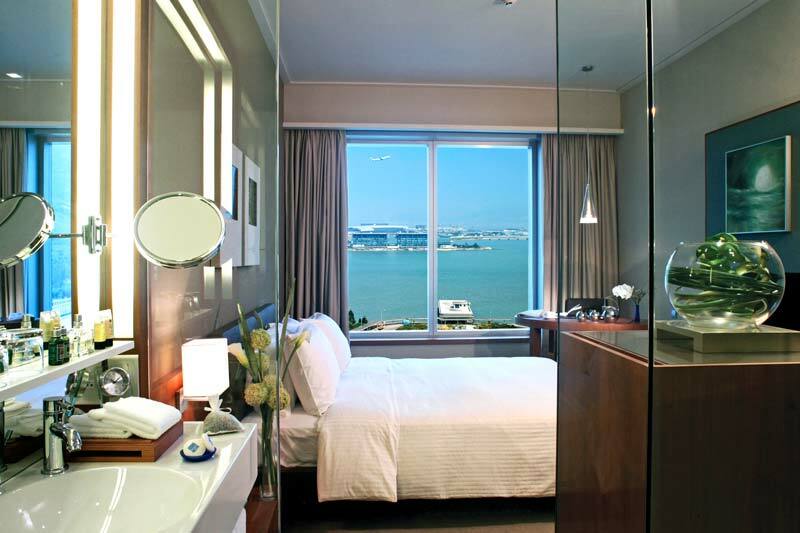 For the best Peninsula Hong Kong rates, click here. Address: No. 1 Castle Peak Road, Castle Peak Bay, Gold Coast, Hong Kong. Hotel Website. With stunning views overlooking the Gold Coast marina, this five-star resort is where Hong Kong’s rich and famous come to play. It’s also becoming a firm favourite for locals wanting a short staycation. 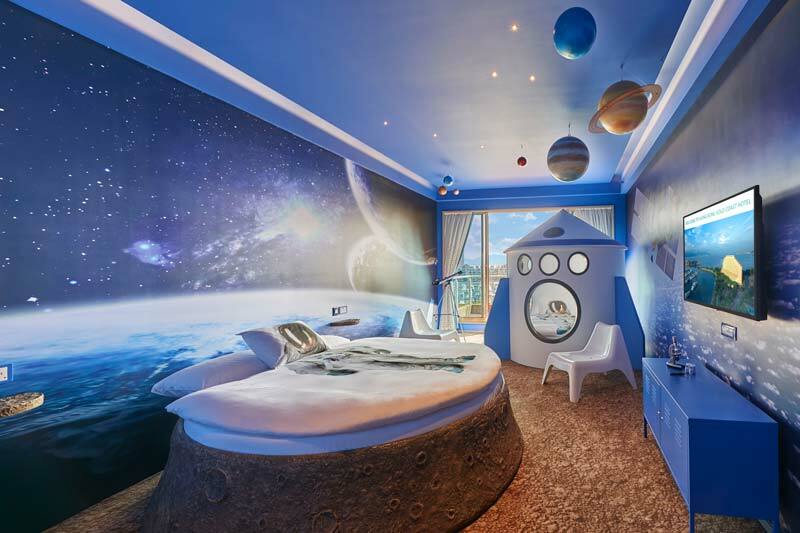 While its rooms and suites are luxuriously appointed, it’s their adventure-themed kids rooms and (soon to be opened) adventure playground that make it a stand out for when in Hong Kong with kids. 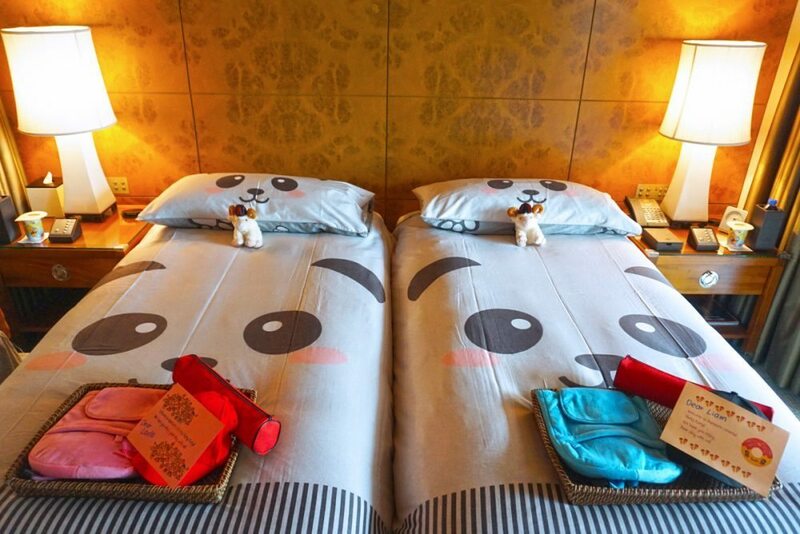 Princess themed connecting kids room – look at the sheets! Hong Kong tram kids room! 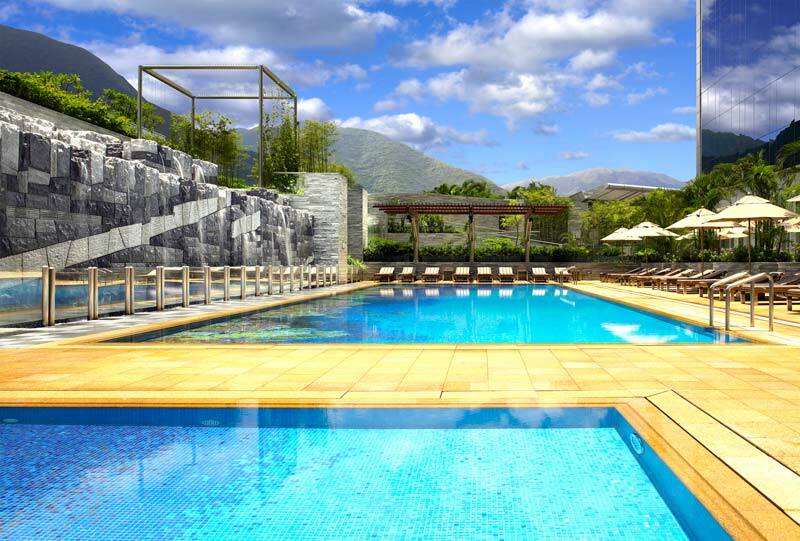 For the best Gold Coast Hotel Hong Kong rates, click here. Located in the popular shopping area of Nathan Road, just a few minutes walk from the Star Ferry and Tsim Sha Tsui MTR station, the Holiday Inn Golden Mile provides a convenient base to explore when in Hong Kong with kids. There’s a rooftop swimming pool and playground just nearby, and they offer the Holiday Inn’s complimentary “Kids Stay and Eat Free” deal. For Holiday Inn Golden Mile rates, click here. 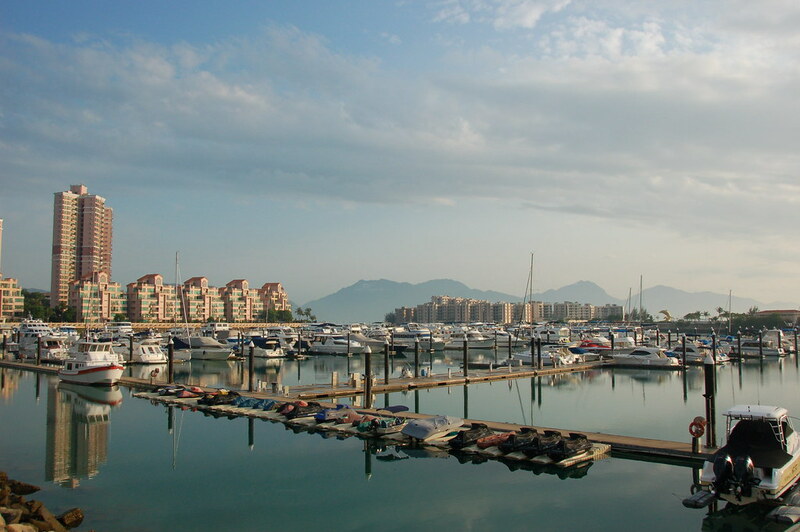 Address: No.193 Prince Edward Road West, Kowloon, Hong Kong. Hotel Website. Located in the heart of Mongkok, attached to the MOKO shopping mall that has a food court and kids playground and MTR at visitors doorstep. The Royal Plaza offers great value for money. When visiting Hong Kong with kids, stay in slick modern rooms with chocolate hues and equipped with all the modern conveniences for a comfortable stay, including: complimentary water bottles, Nespresso Machine, mini-bar, free WIFI, LED TV with 50 TV channels, VOIP phone system and iPhone docking station. Families are welcomed in quad share (2 Queen Bed) Family Rooms or pay a little extra for spacious Plaza Premier Family Room which are 35-40 square metres. 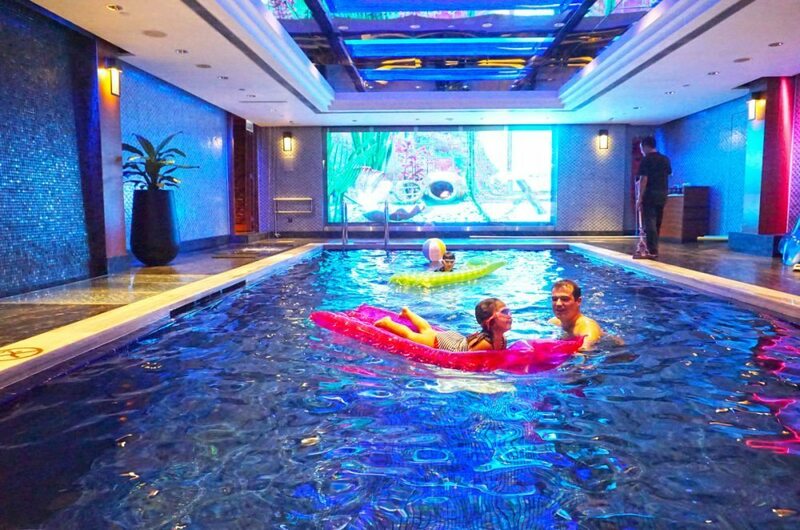 There’s even a 20 metre pool running along the side of the hotel, perfect for kids to cool off after a long day exploring humid Hong Kong. For Royal Plaza Hotel rates, click here. With a distinctly Disney ambiance in terms of setting, decor and even background music, the Hong Kong Disneyland Hotel is one of the most child-friendly places to bunk down in the city.The hotel is set within a Victorian-style palace, with views across the South China Sea, and has a pool with water slide, tennis court and Mickey Mouse-shaped maze to keep you busy when you are not out exploring. 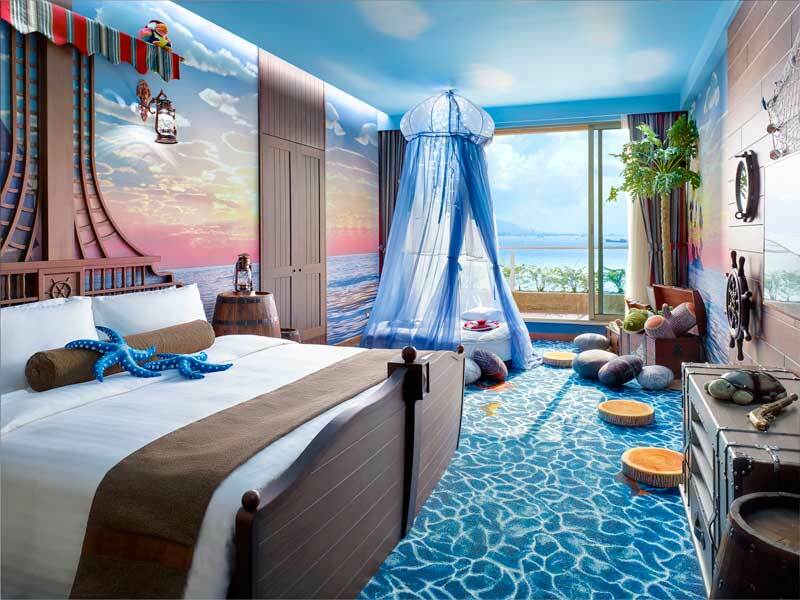 The rooms are spacious and sleep up to 4 people (with connecting rooms available), and you can also pay a little extra to have your room decorated in your children’s favourite Disney setting. There are also opportunities to dine with your favourite Disney characters. 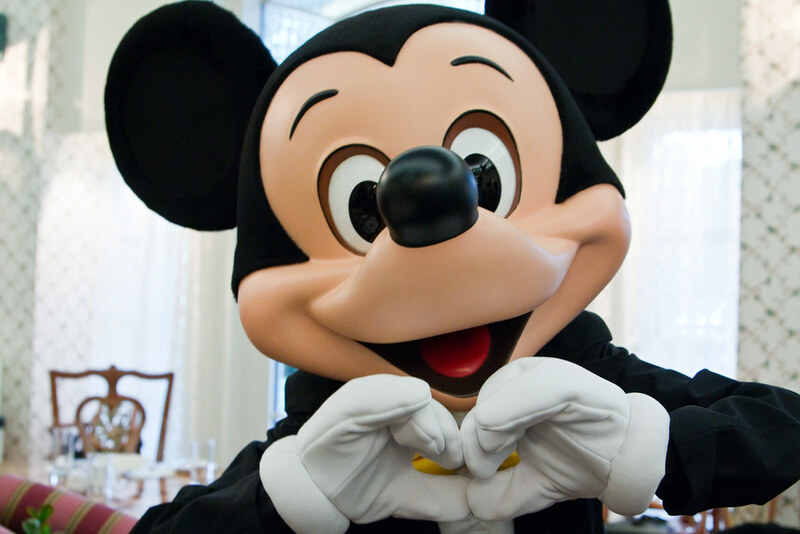 During the buffet meal, Mickey and his friends will stop by your table for a family snap. 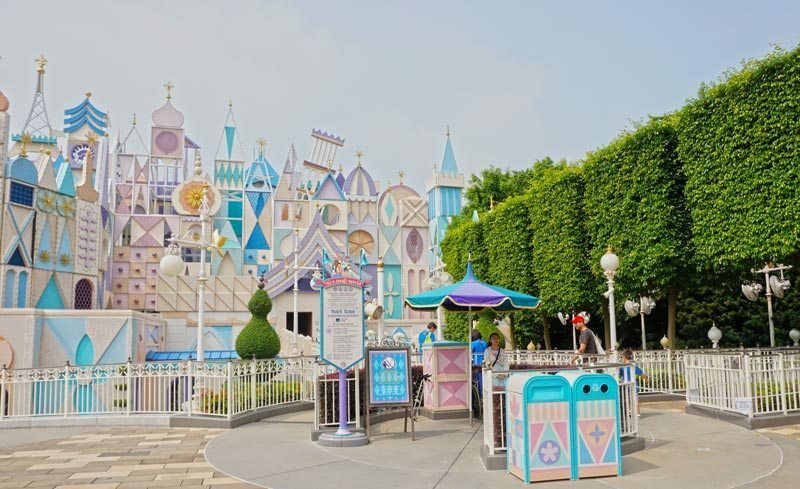 The advantages of staying near Disneyland means that families can visit the theme park at their leisure with an option of retiring at the resort when the heat becomes stifling or when kids get crabby. Returning towards the end of the day when the crowds die down and the day cools off, it’s doesn’t get more perfect when in Hong Kong with kids. For Hong Kong Disneyland Hotel rates, click here. For a slightly lower price, there is a more standard Disney offering in contemporary surroundings at Disney’s Hollywood Hotel. 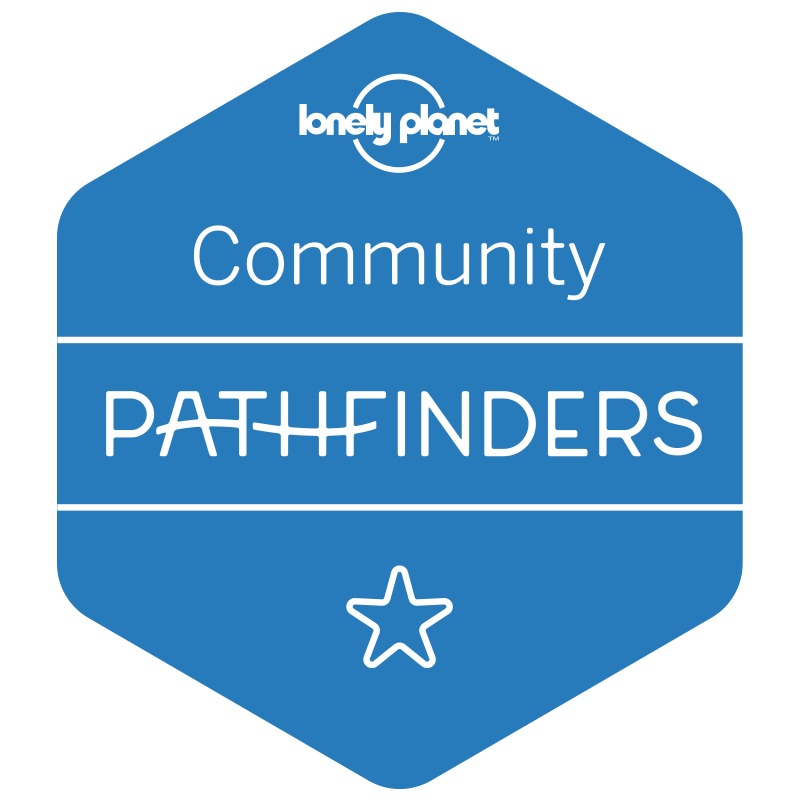 It’s slightly further from the theme park entrance and has a lower star rating (4 star) and is a more casual accommodation option. 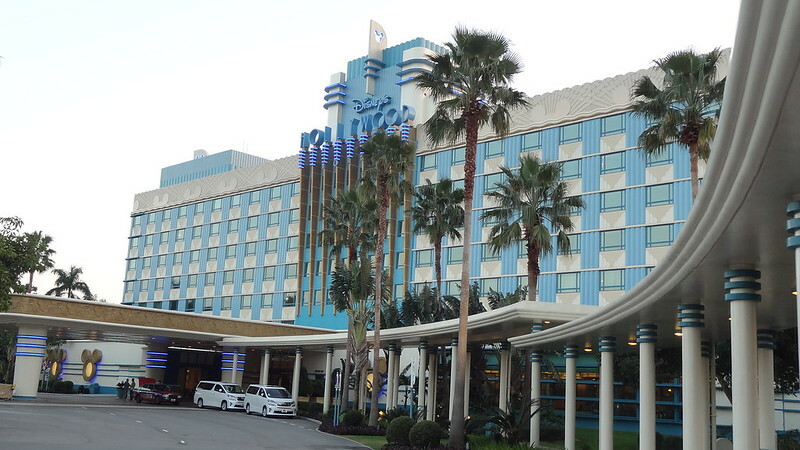 For Disney’s Hollywood Hotel rates, click here. 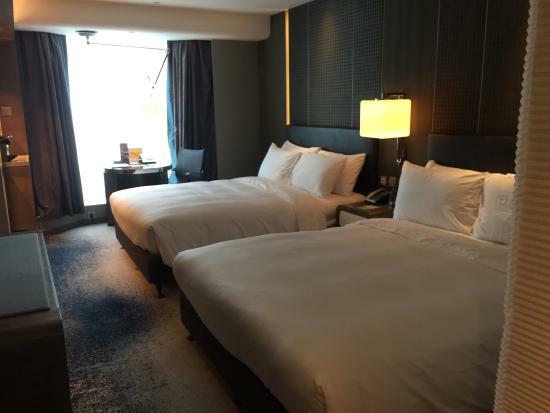 A great affordable family hotel in Hong Kong right by the airport, adjacent to the great shopping at Citygate Outlet and moments from the MTR station to zip downtown. There’s also a free shuttle bus that takes families to and from the airport. It’s also close to family attractions including Big Buddha, Disneyland, Ocean Park and the Ngong Ping Cable Car, all must-do when in Hong Kong with kids. 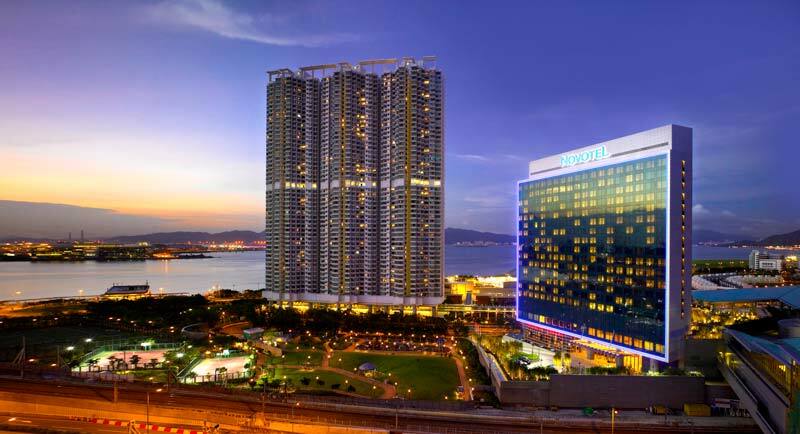 The Novotel Citygate Hong Kong has everything a family needs including affordable breakfast, lunch and dinner buffets in stylish setting, a large outdoor pool, free use of iMAC stations and complimentary high speed WIFI. 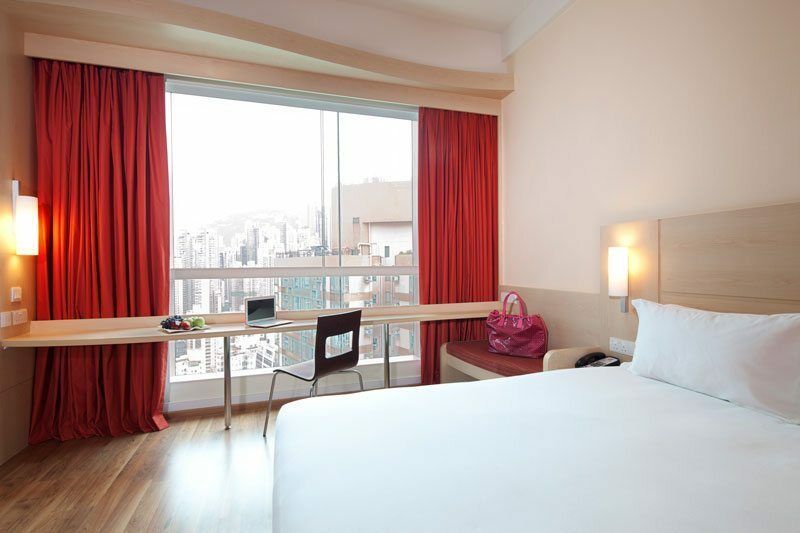 For Novotel Citygate Hong Kong rates, click here. 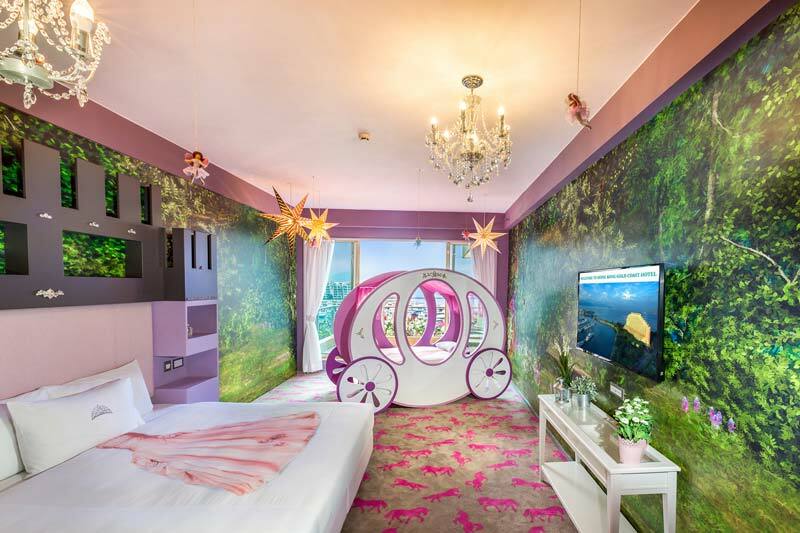 A good clean no-frills family hotel in the heart of Central with the main attractions within easy reach is all you need when visiting Hong Kong with kids. The Macau ferry terminal is a 5 minute walk away, there’s a tram stop and shops at your door step and the Sheung Wan MTR is a 10 minute walk away. There’s also a free shuttle bus from nearby Hong Kong station if electing to catch the Airport Express in. 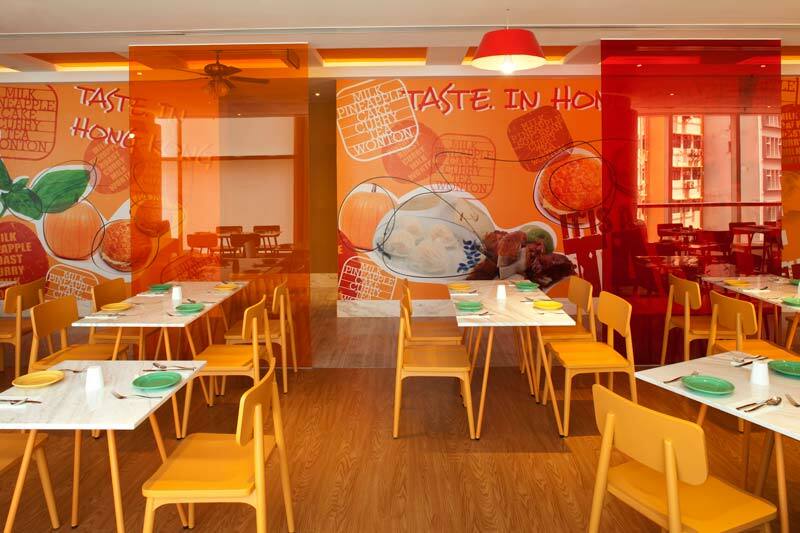 The Ibis Hotel Central is an affordable choice for families on a short stay in a excellent location with buffet breakfast available in clean comfortable surrounds. In room amenities include: WIFI, large flat screen TV and harbour view. For families, there are connecting rooms available on request. 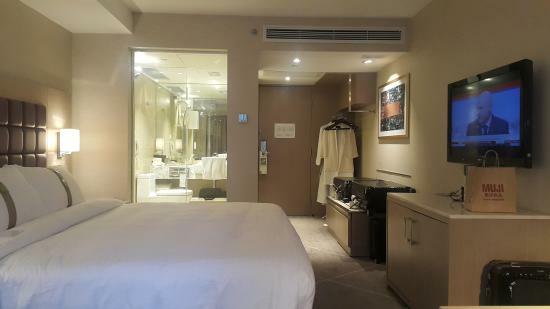 For the best Ibis Hong Kong Central and Sheung Wan rates, click here. Bright modern splashes and clean comfortable rooms in the heart of Tsim Sha Tsiu, close to Harbour City shopping mall and restaurants on Nathan Road with the MTR station a 4 minute walk away. 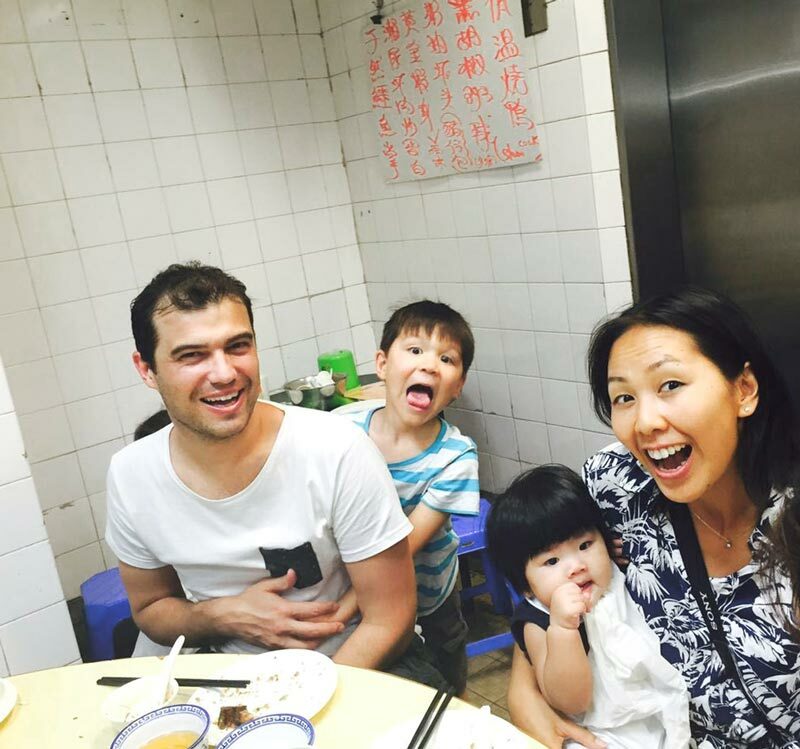 Another affordable family stay when in Hong Kong with kids. Paying attention to the needs of families, enjoy a modernly appointed and spacious 35 square metre room or splurge a little more and there is a huge 50 square metre Deluxe Family Room on offer. All rooms come with LCD TV with cable channels, complimentary WIFI, two queen beds with an additional rollaway complimentary and use of a smart phone with free unlimited data and local calls. For the best Butterfly on Prat rates, click here. 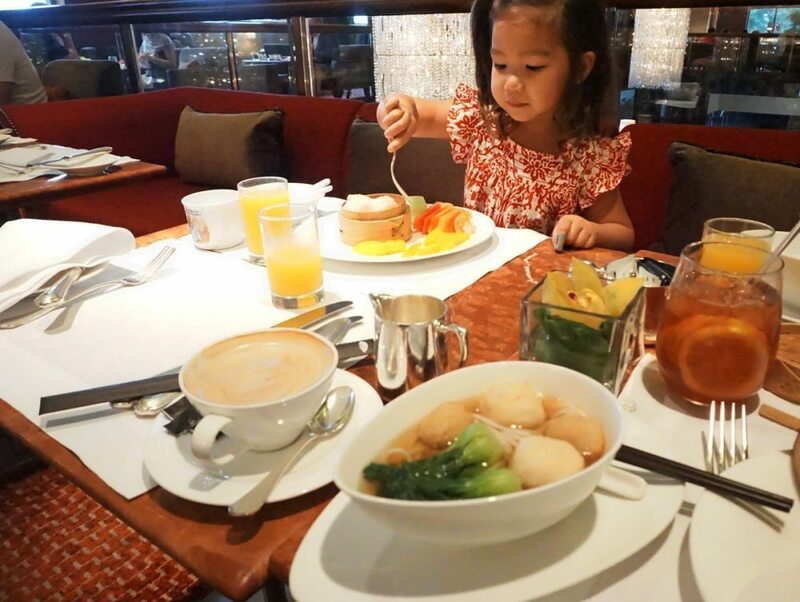 For a budget family base when in Hong Kong with kids, located in the heart of Kowloon, the Salisbury Hotel ticks all the right boxes. They have large family suites (with a maximum of four people), a swimming pool, great views across Victoria Harbour and the nightly Symphony of Lights. Part of the YMCA building, with this section open to all guests, not just student members. 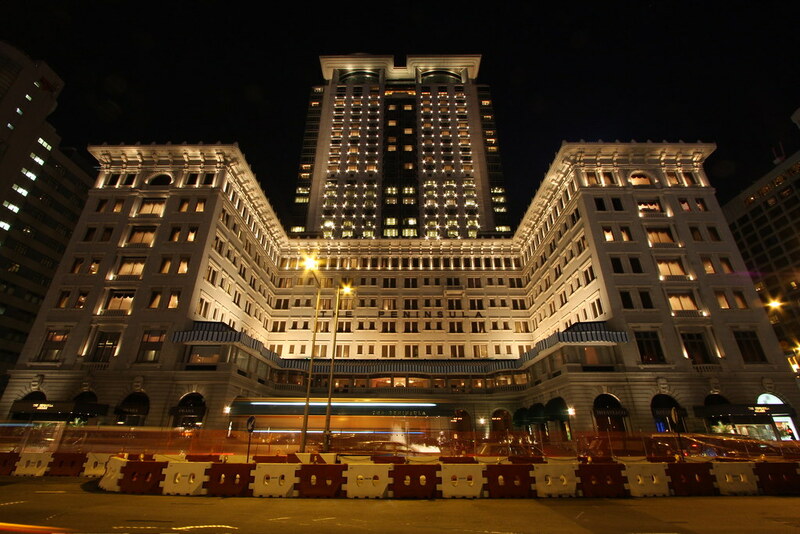 The Salisbury is within easy reach of the Star Ferry and a MTR station. The family suites do sell out fast, so you need to book early. For the best The Salisbury Hotel rates, click here. Hong Kong really is a dream destination for “foodies”, with so many unique dishes to sample and a whole spectrum of dining experiences that range from street-side stalls to Michelin-star restaurants and all so super tasty. There are the traditional dai pai dongs, Hong Kong’s vanishing open air street restaurants, cha chaan tengs, family friendly traditional tea houses selling Hong Kong’s take on western cuisine, fresh Dim Sum parlours some still serving from metal trolleys and specialty shops selling egg tarts, steamed milk pudding, wonton noodles, seafood and congee. 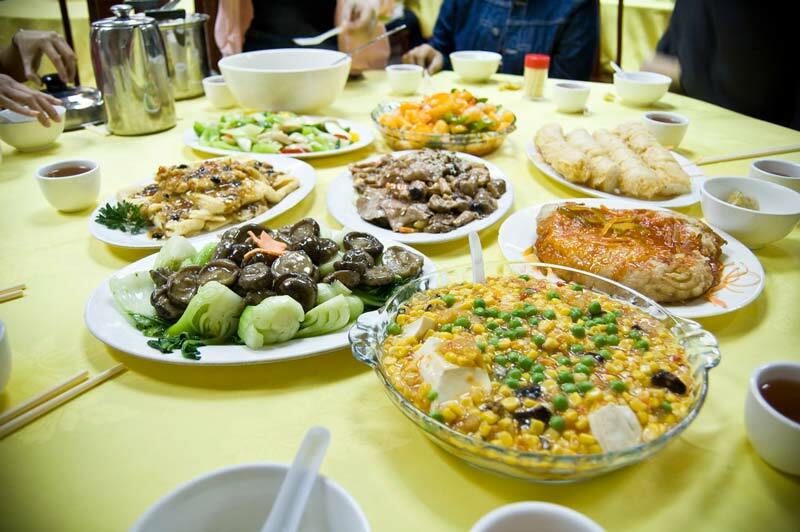 There’s so many foods to stuff you face, check out our Hong Kong Must Eats comprehensive list of the best places to eat in Hong Kong with kids. 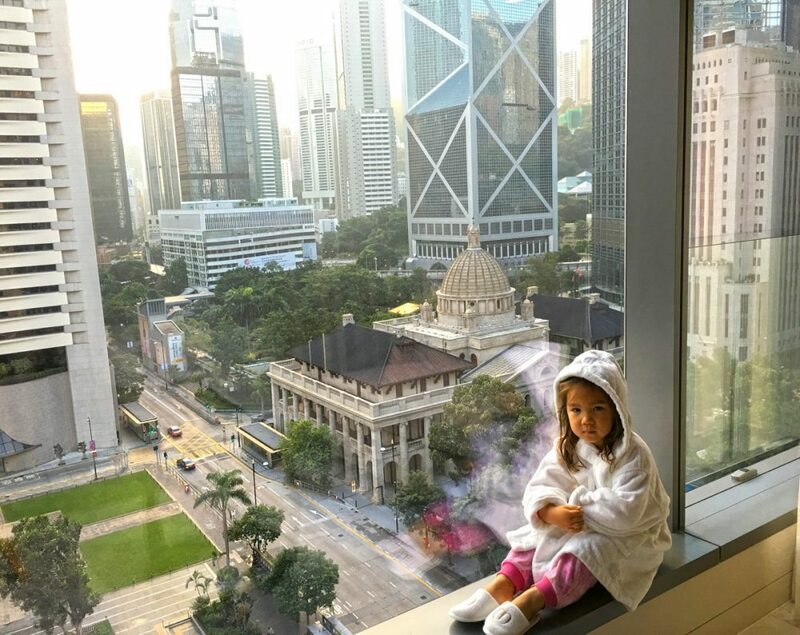 For the best weather and most reasonable room rates, October to December is an ideal time to visit Hong Kong with kids, although avoid the first week in October when Chinese National Day (Golden Week) sees a sharp influx in domestic visitors. In the lead up to Chinese New Year during January and February, tourist numbers start to build, as people from across Asia take their annual vacation and hotel prices tend to escalate. March through to May can be a good time to visit, but keep in mind that fog often settles across the Harbour during the start of spring and you won’t get clear views (or photos) from the Peak. If you decide to travel during the summer months of June through to August, remember that it can get stiflingly hot and muggy, with typhoons sometimes hitting in September. 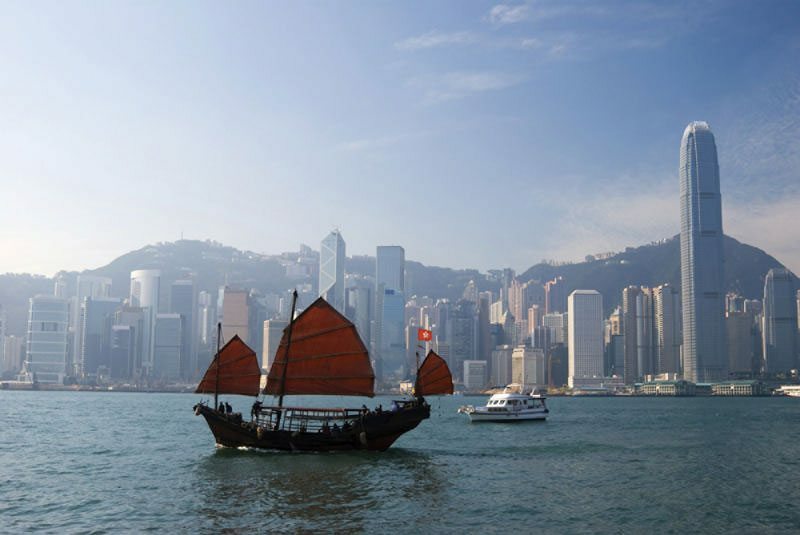 Despite the weather, summer is still quite a popular time to visit Hong Kong with kids (with the Dragon Boat Festival held in June), although hotel prices are not cheap. Getting to and from Hong Kong with kids is direct and easy. 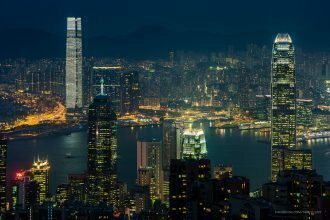 Return flights from Australia to Hong Kong with Qantas start at around $550AUD from Melbourne, and $700AUD from Sydney, Adelaide or Brisbane. 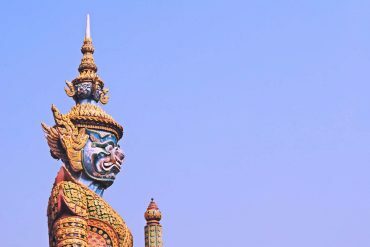 From both Perth and Darwin, there are slightly cheaper flights available with Jetstar, Air Asia and Scoot, starting from around $530 return. 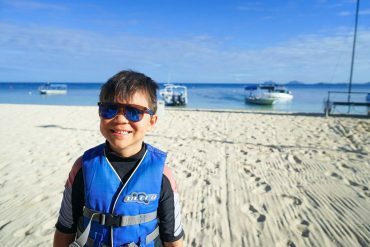 Qantas, Jetstar, Air Asia and Scoot all offer child-based fares for kids aged 2 to 11, withs a small fare on most routes for infants under 2. The flight from Sydney to Hong Kong is 9 hours 30 minutes, quite manageable for your next trip to Hong Kong with kids. 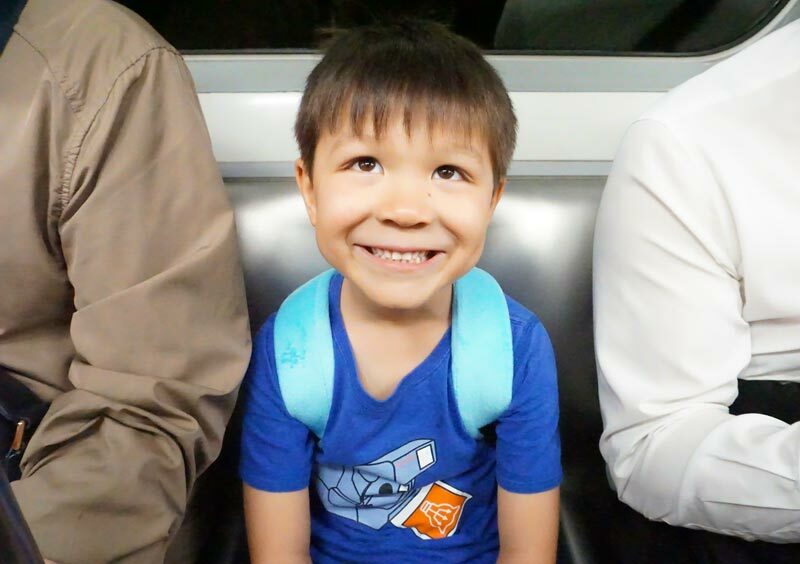 The Mass Transit Rail (MTR) system is one of the most efficient and easiest ways to get around Hong Kong with kids, with almost all districts covered. 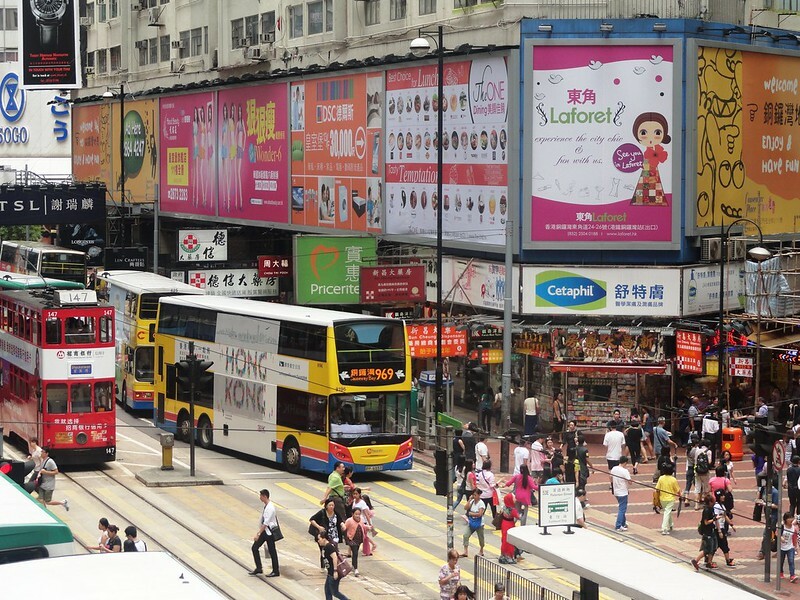 The high-speed Airport Express will whisk you into the city in less than half an hour, with free shuttle buses at both Kowloon and Hong Kong stations that serve the major nearby hotels. You can either pay per trip using an Oyster Card (a tap-able, pre-paid card that not only can be used to pay for public transport, but also in some convenience stores), or opt for a Tourist Day Pass which includes unlimited travel. These start at $65HKD for an adult and $30HKD for children aged 3-11, or you can purchase a $350HKD Airport Express Travel Pass (including a refundable $50HKD deposit) which includes return transfers on the Airport Express and three consecutive days of unlimited travel on the MTR. The disadvantage of the Tourist Day Pass is that you need to make a lot of journeys on the MTR to make this worthwhile, and for many the Oyster Card (which can be used over a wider variety of public transport) works out to be a more affordable option. You can purchase an On-loan Octopus card for $50HKD (with this being refunded if you return it within 90 days) or a Sold Tourist Octopus Card for $39HKD, which comes with an iconic Hong Kong image designed to be kept as a souvenir. Taxis are everywhere in Hong Kong and relatively cheap compared to many other big cities. 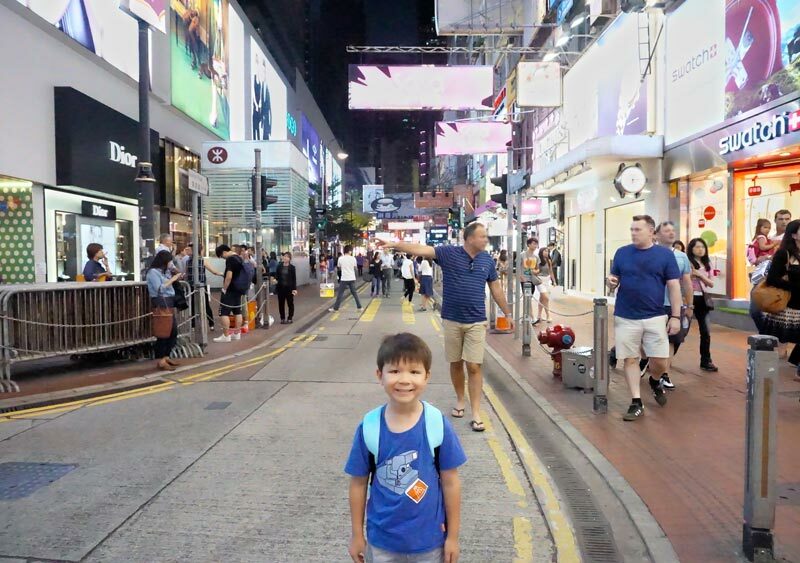 You can hail them on the street or wait in designated taxi ranks which are commonly found outside hotels the most convenient way of travelling around Hong Kong with kids. The taxis are all regulated and metered, with fare information normally listed inside the taxi. Car Seats are not compulsory for kids, but hold on tight and strap the regular seat belt on. These guys can have a lead foot. Always ask for a printed receipt in case of any issues (or if you leave something behind) as this will help authorities chase it up. If the taxi driver does not use the meter, insist that he does as it’s the law. If you are coming from the airport, make sure you get in a red taxi. Prices start from around $260HKD to Kowloon and $300HKD to Hong Kong Island. 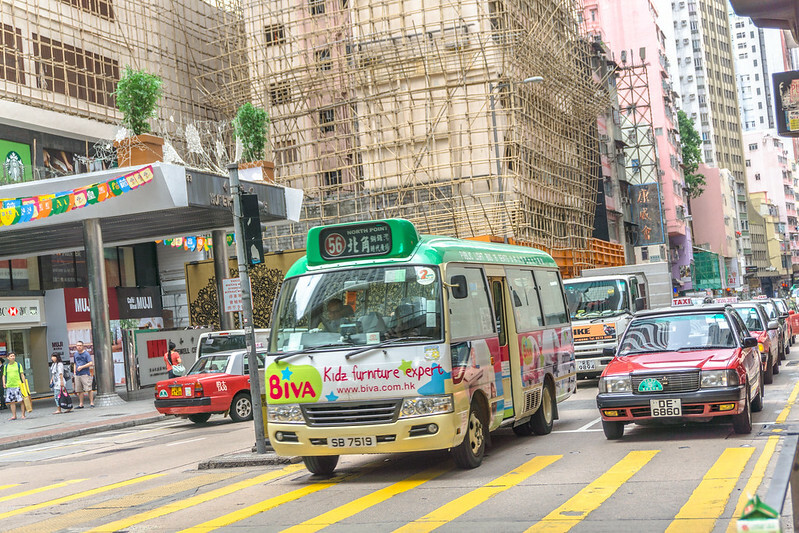 Hong Kong’s Green Mini Busses (GMB) are small busses carrying up to 16 passengers which zip around the narrower roads of Hong Kong and preferred method of transport for the locals due to convenience and price. GMB’s are a fun and inexpensive way to really get to know Hong Kong with kids and a little quicker dodging main thoroughfares. The bus driver usually has his favourite radio show blasting in Cantonese and some are fond of a chat with the regulars. Payment can be made by touching in an Oyster Card or by cash (exact change preferred). As signage is in Chinese and drivers servicing the locals rarely speak English it’s hard for a visitor to crack this mode of transportation. Particularly as you need to indicate to the driver to stop at the next stop. The best way to take a ride is research the route, ask hotel staff the best route from your location and give it a go, an MTR station is not far away if you end up getting sidetracked. Mini Busses are notorious for speeding, it’s getting a little better with speedometers being installed so that passengers know if they travel over 80 km per hour, which is the regulated speed of a minibus. Also regulated by loosely used are the seat belts installed for passengers safety. Once mini busses are full, they will not stop at a designated bus stop until a passenger alights. Knowing a few Cantonese phrases is beneficial “Bah Si Jarm, Mm Goi” means to stop at the next bus stop, the driver would raise his left hand to acknowledge your request. There are also the Red Mini busses, which work like a shared taxi system and seat 14 passengers maximum and slightly more expensive than the green busses. The idea is that Red Mini Busses can pick up and drop off where the passengers need to go, however there are standard unofficial routes known to locals. The concern about the red mini busses is that it’s unregulated, so cash payments can increase during peak hours. Speed is also a bit of an issue, some call these suicide busses, they go at lightning speed and can be reckless on highways. Stick to a cab when in Hong Kong with kids and if you see one on the road, move right out of their way. 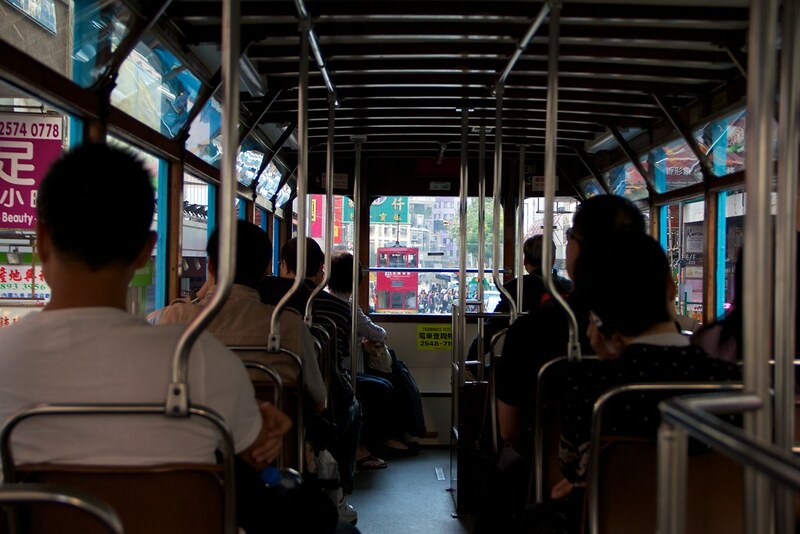 While Hong Kong’s buses are a relatively comfortable way to get from A to B, with routes covering Hong Kong Island, Kowloon and the New Territories, keep an eye out for the double-deckers which boast great views from their top decks. Look out for Bus No. 15 that cruises from Exchange Square to the Peak along its winding road and offers beautiful scenery, or the open-top 15C that will take you from Central Ferry Piers to the Lower Peak Tram Terminus where you can switch to the Victoria Peak Tram. The final route destination of buses is displayed in both English and Chinese and they can be boarded at designated stops throughout the city. If you are paying in cash, make sure you have exact change ready (fares are normally displayed on info boards at the bus stops) or just tap your Octopus card. For a more local experience, you can ride one of the green or red minibuses that whizz around the city. Green buses are on fixed routes while red buses deviate a little, with passengers stopping to get on and off anywhere they like. Drivers don’t always speak English, so carry a map where you can point out the name of your destination or ask a fellow passenger if you are heading in the right direction. Another captivating way of traveling around Hong Kong with kids is on one of its historic, double-decker trams which have been plying the north corridor of Hong Kong Island since 1904. 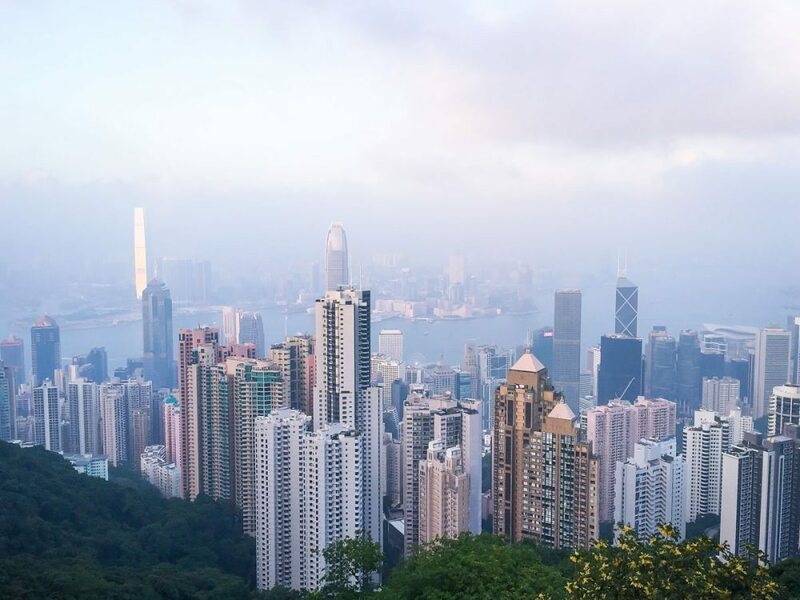 Grab a seat upstairs and take in the views as you explore the vibrant neighborhoods of Happy Valley, Wan Chai and North Point, with fares costing $2.30HKD no matter how far you travel. Board at the back of the tram and then pay using either your Octopus card or with exact change when you are getting off at the front. If you are with a stroller, you may need assistance hoisting it on and off the tram, but you should be able to find a local willing to help. Hong Kong is the birth place of my parents, home to dear family and friends and visited often since childhood. Perhaps my most prominent memory of Hong Kong was when by chance my mother along with my brother boarded a near empty Cathay Pacific Boeing 747 and flew tol the old Kai Tak airport. On approach, the plane made a sharp right turn and skimmed over the rooftops of tenement buildings, so close we could see the laundry hanging from bamboo poles. 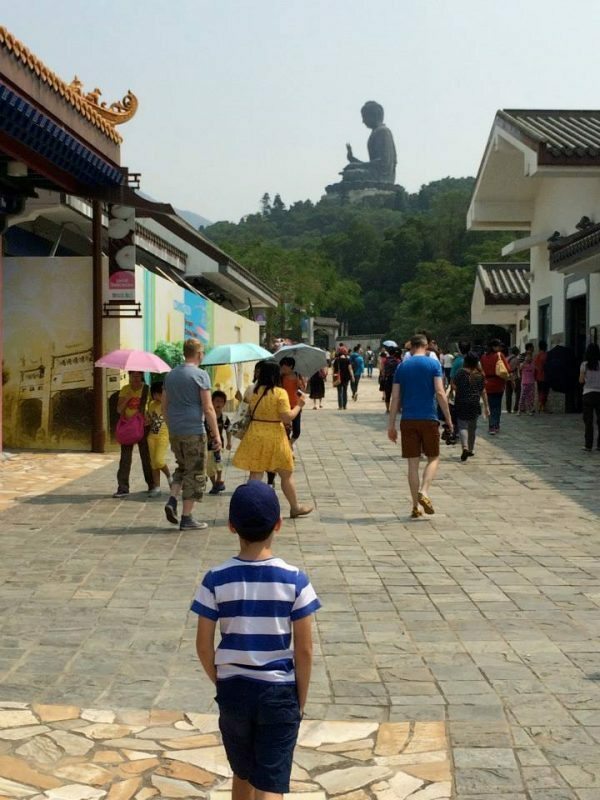 From that exhilarating moment, Hong Kong was under my skin and hopefully this post will provide you enough information so that you can discover your own Hong Kong with kids city gems and love it as I do. Love and many thanks to friends and family for helping me compile this extensive Hong Kong with list. Dedicated to my sister who has been to Hong Kong with kids almost every Chinese New Year for the past decade and finds it unbearable, hopefully this will help you find the fun again. Hong Kong or Kowloon side – where to stay?